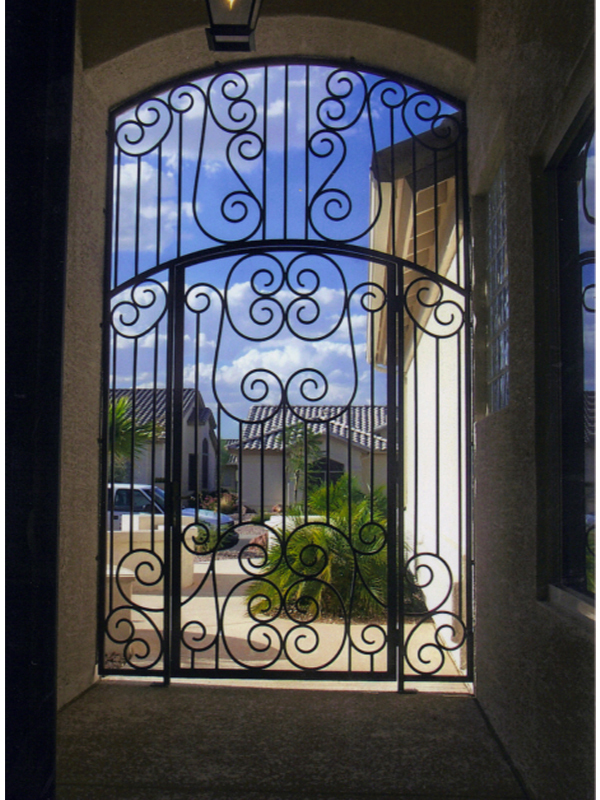 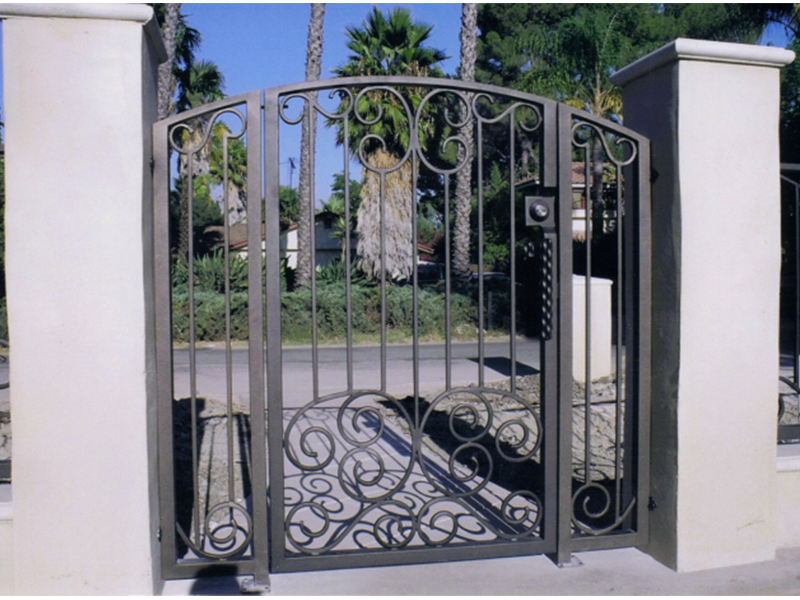 From courtyard and entry gates to fully automated estate gates, there isn’t a gate too big or too small for Landmark Iron. 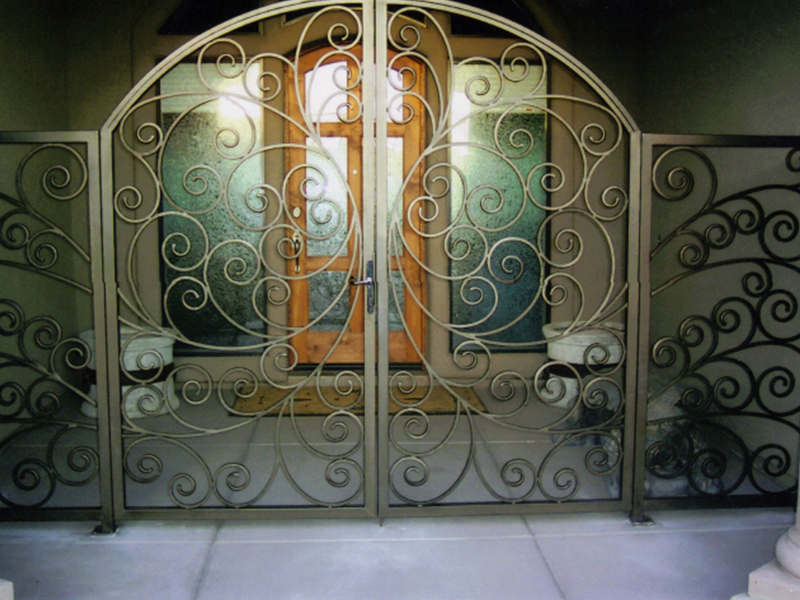 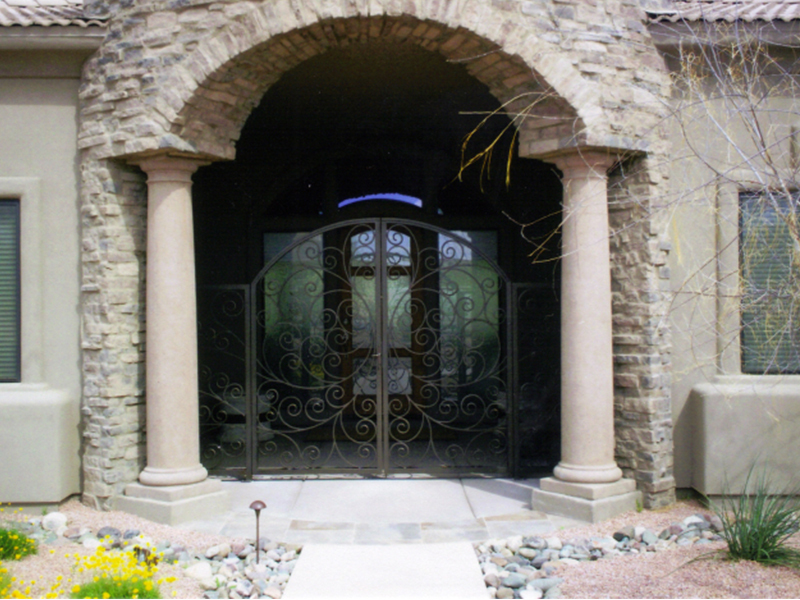 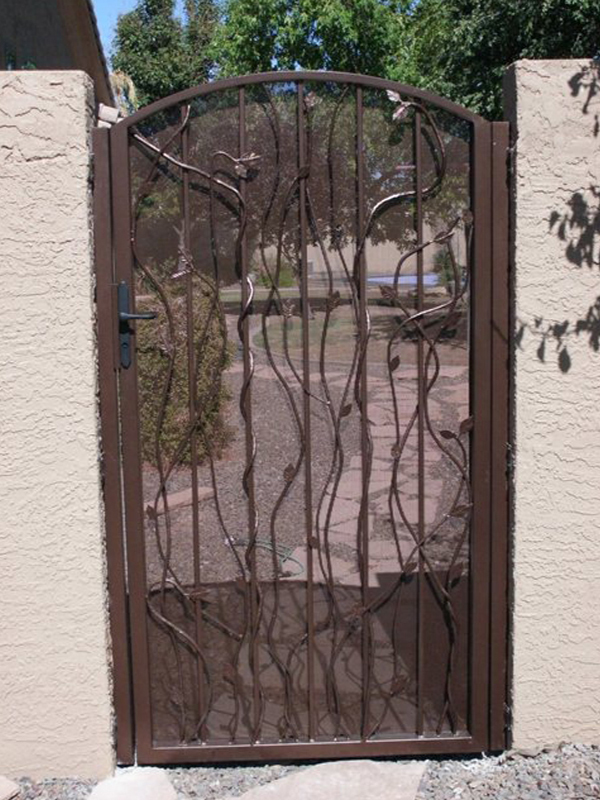 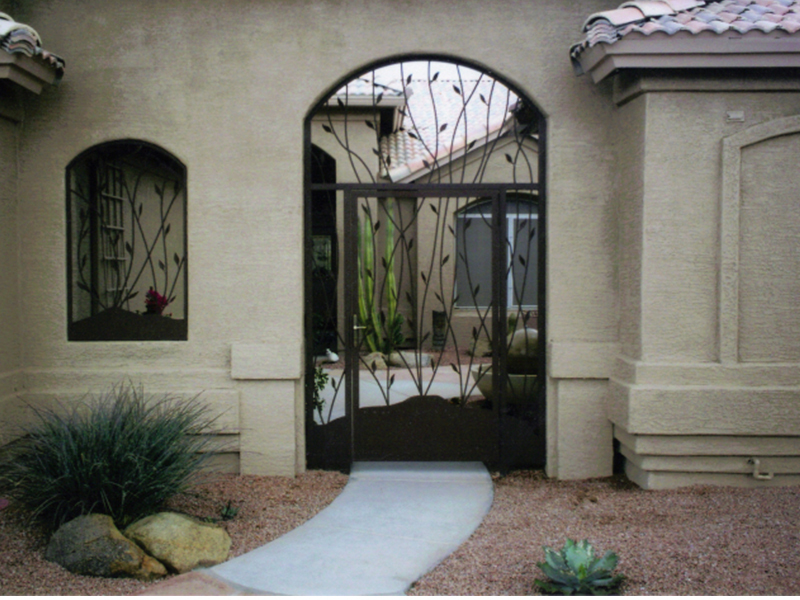 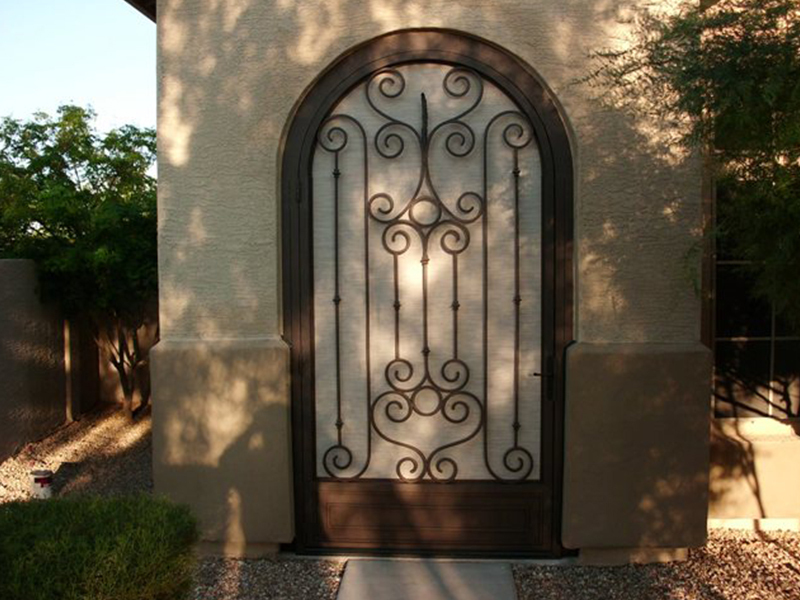 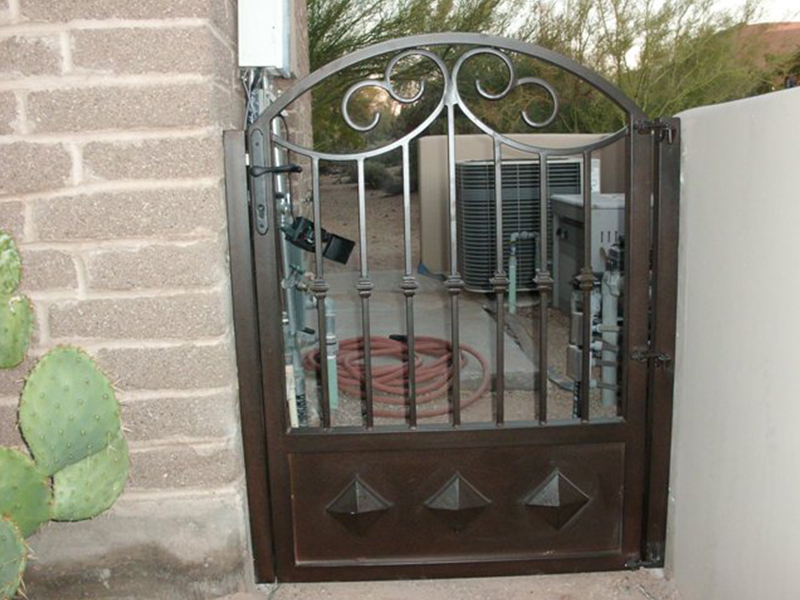 Our decorative doors and gates have fixed panels used to close in a back yard, courtyard, patio area, or entry to the home. 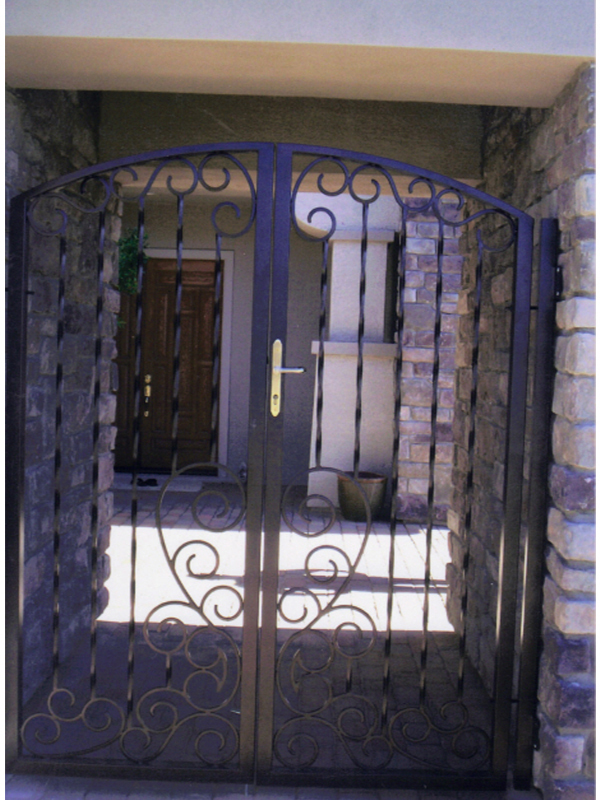 These doors or gates do not receive wood and can be made in a single or double door or gate with side fixed panels. 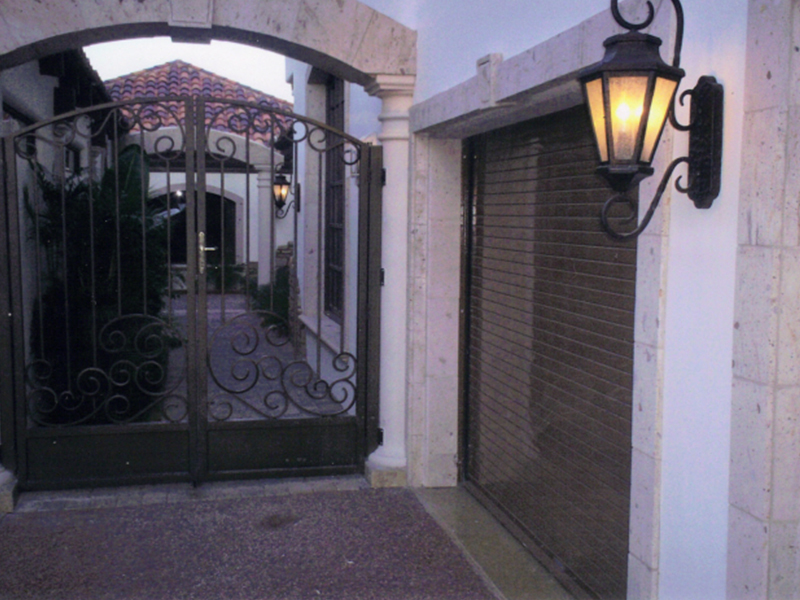 Double doors and gates can be made to receive two cane bolts or flush bolts that lock the door at the bottom to add security. 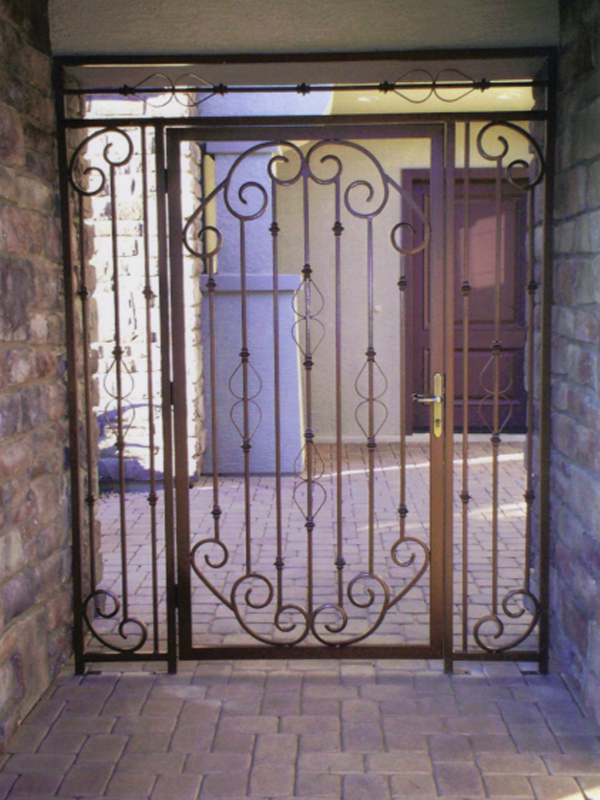 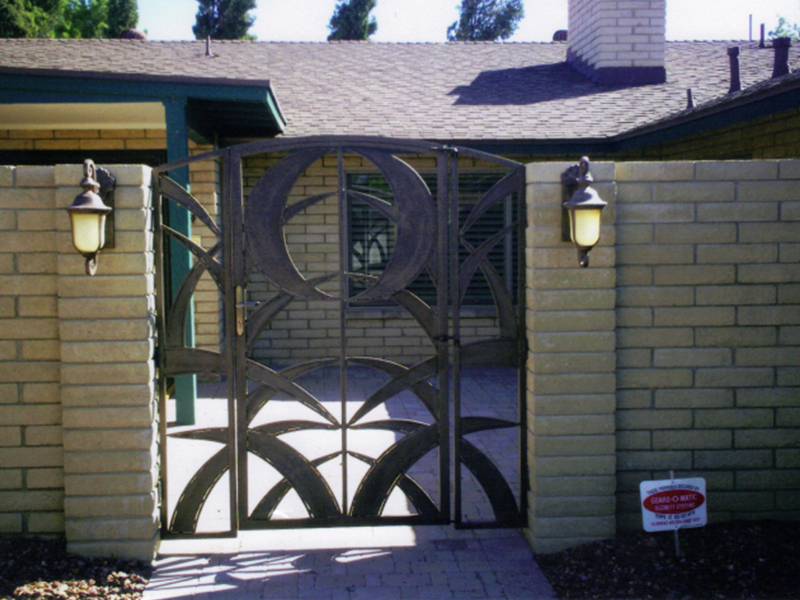 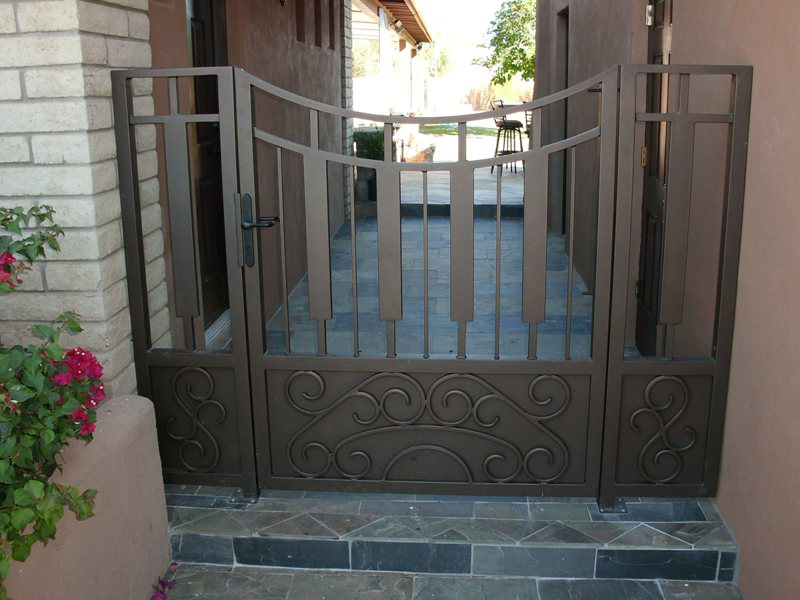 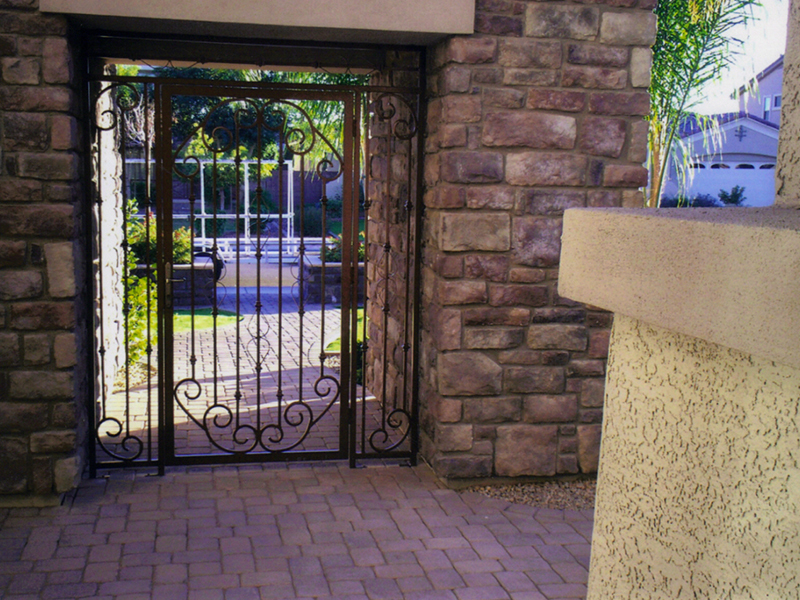 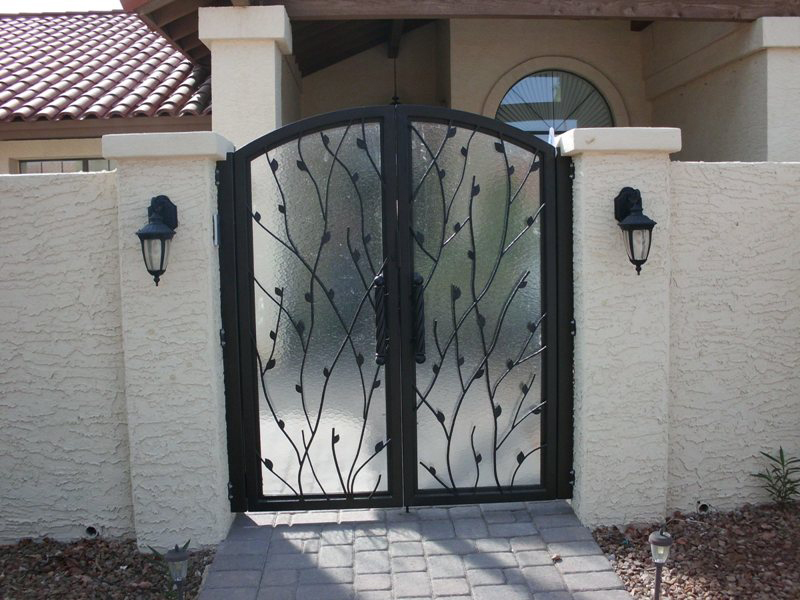 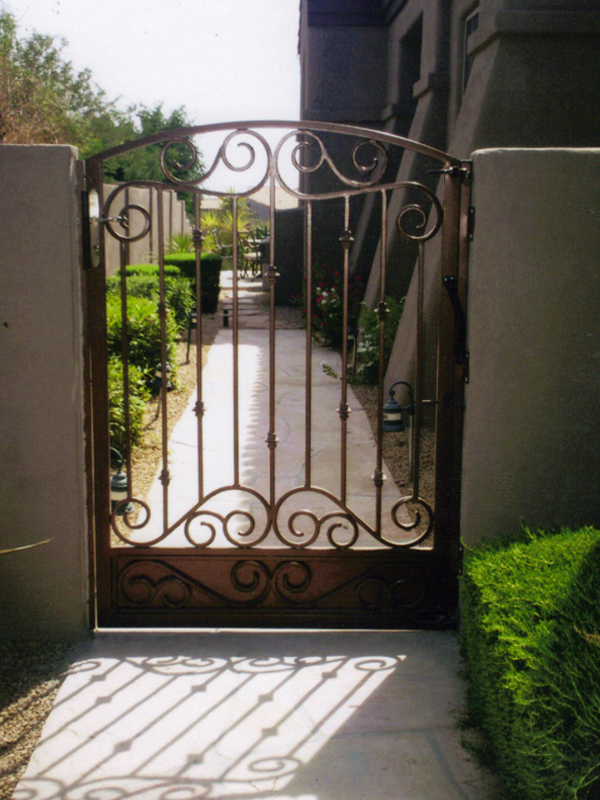 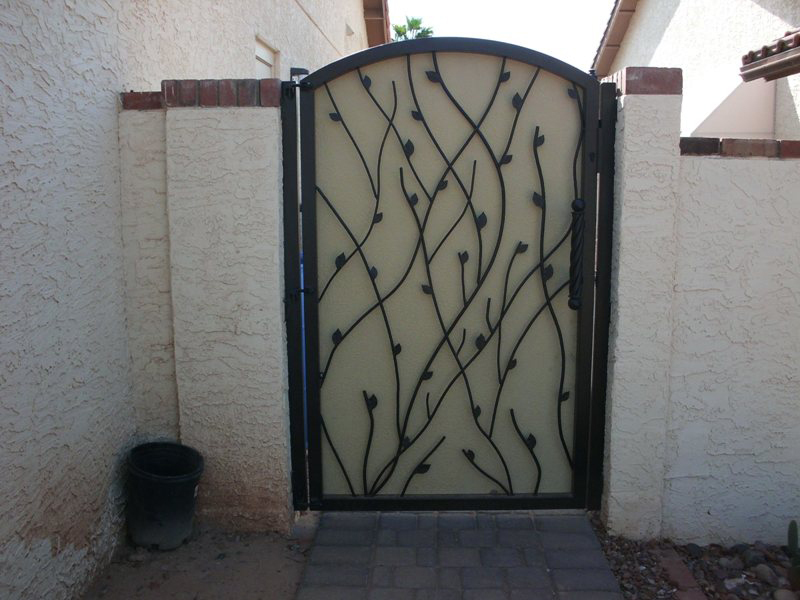 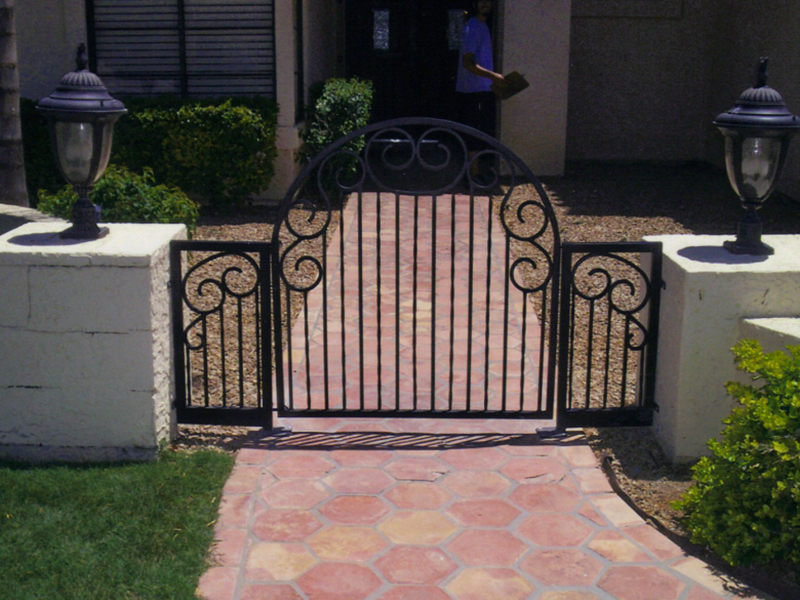 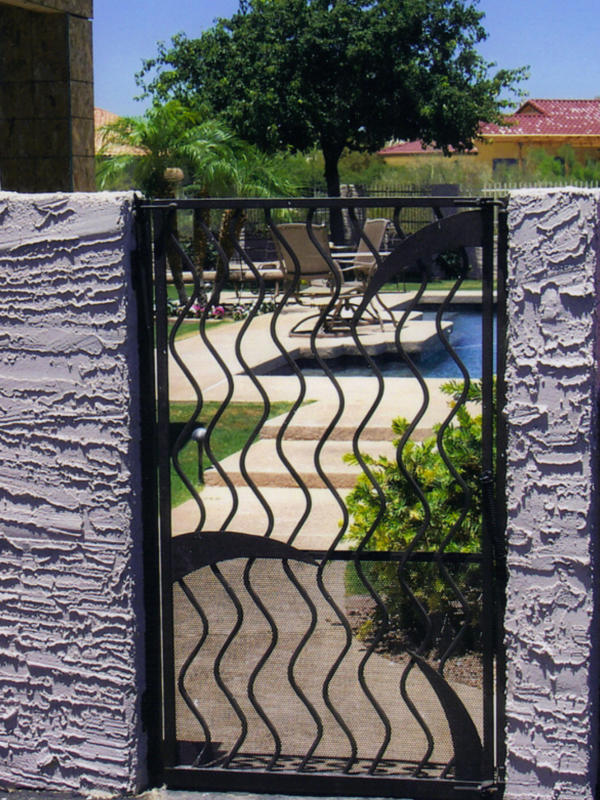 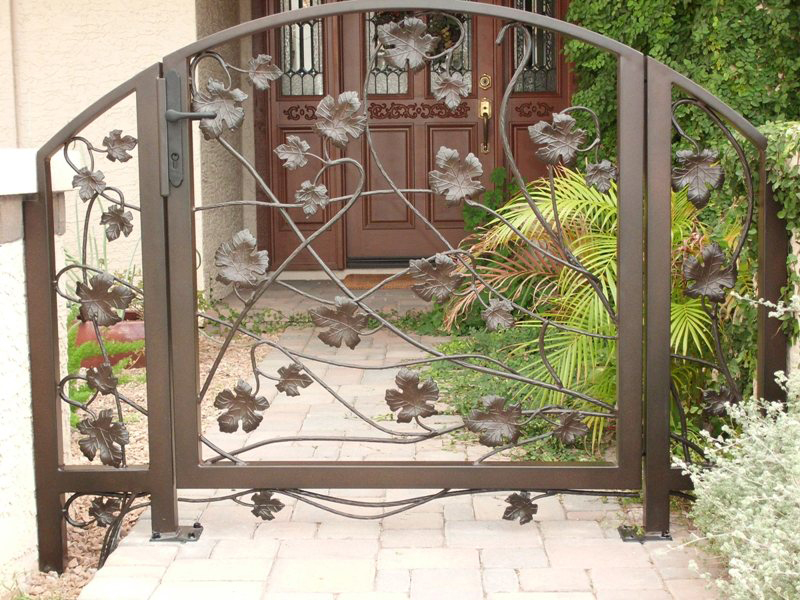 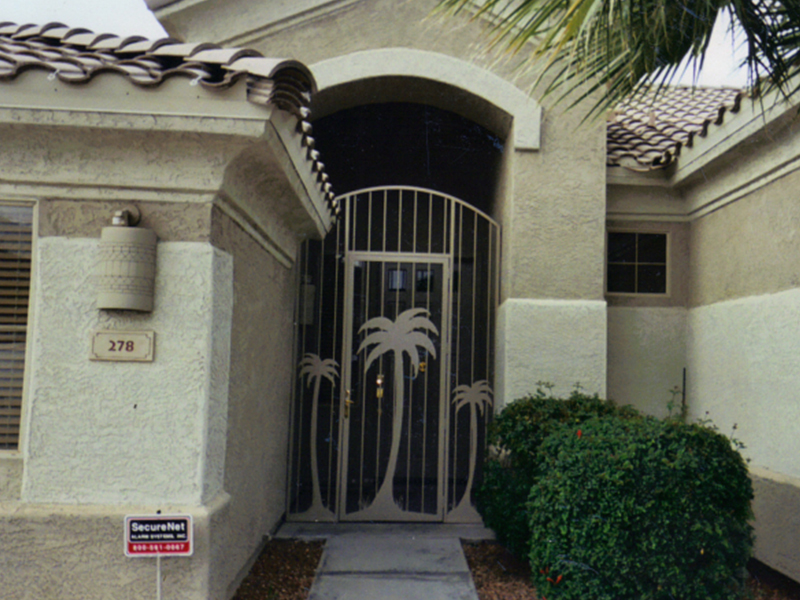 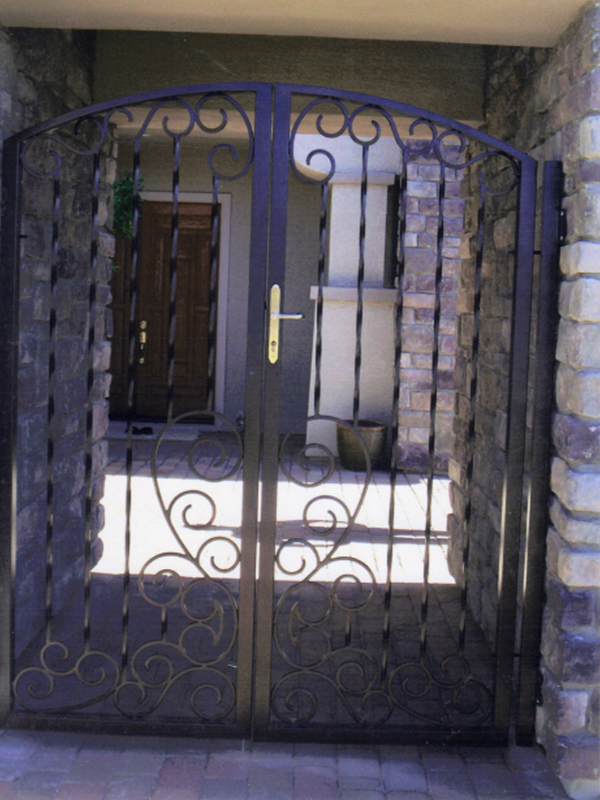 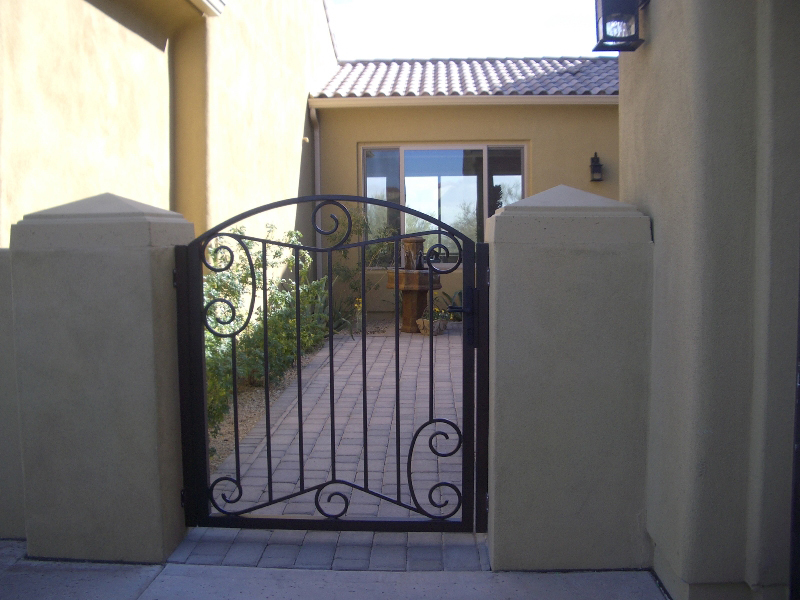 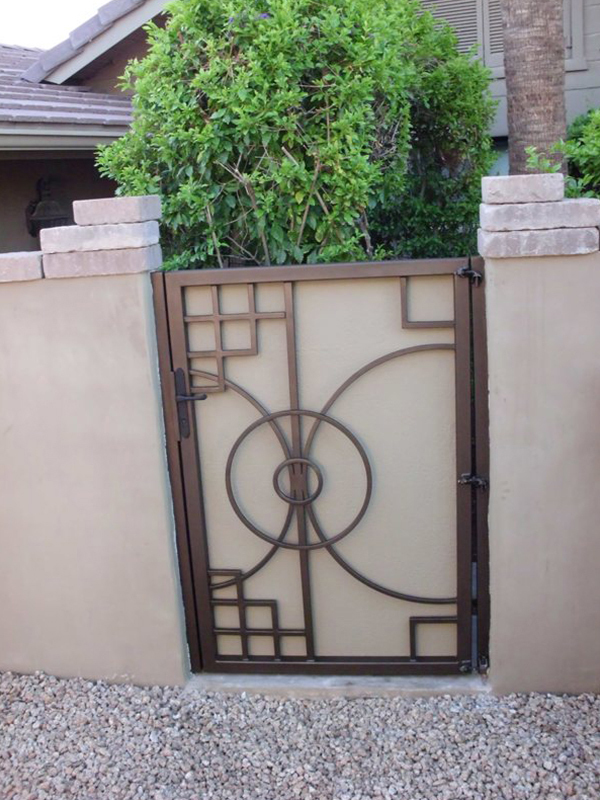 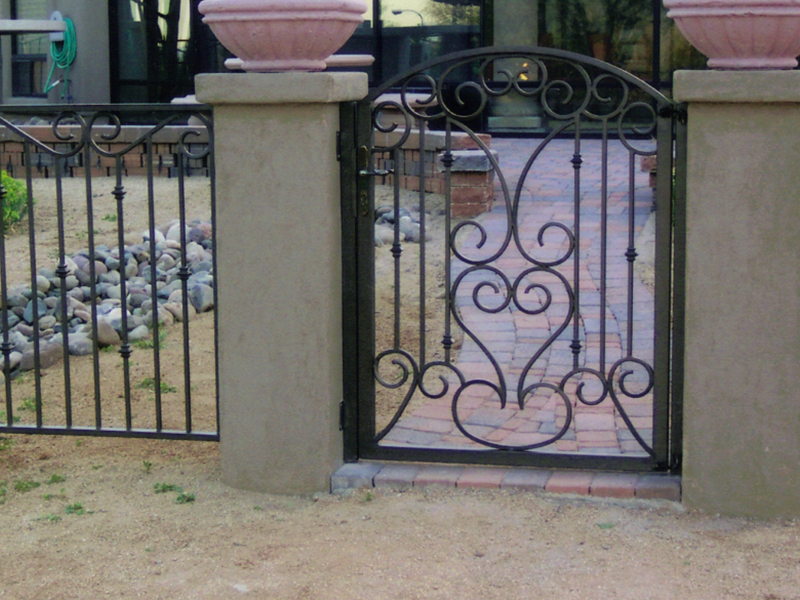 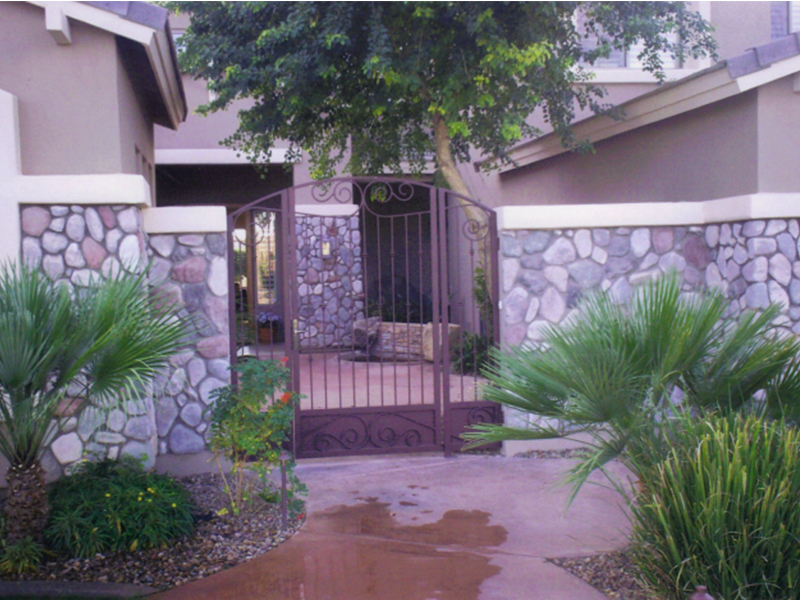 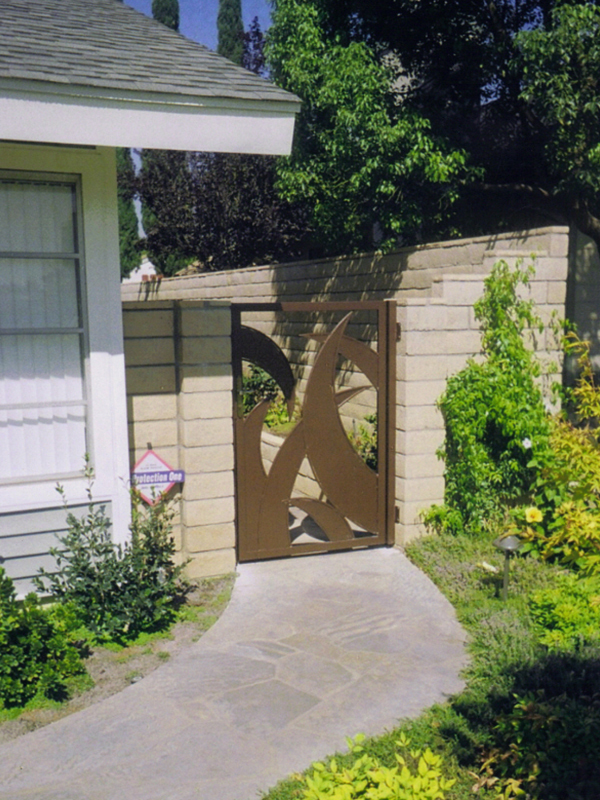 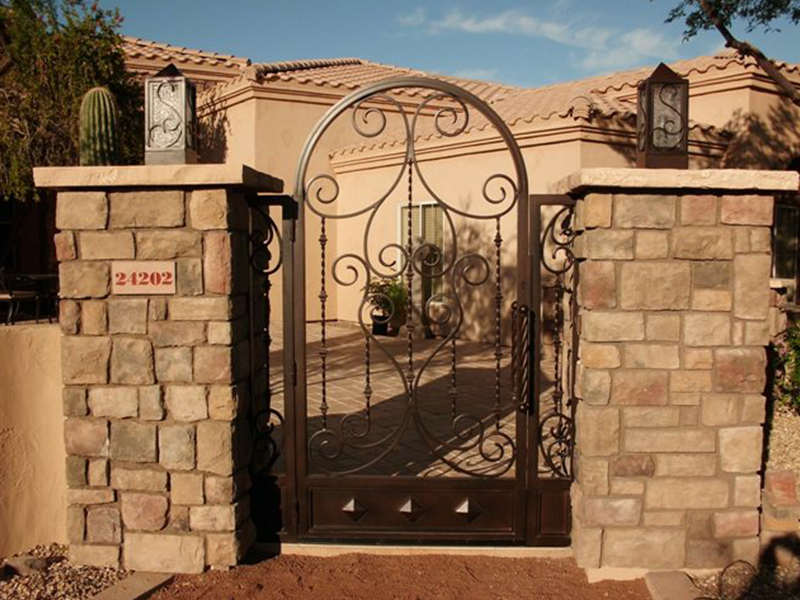 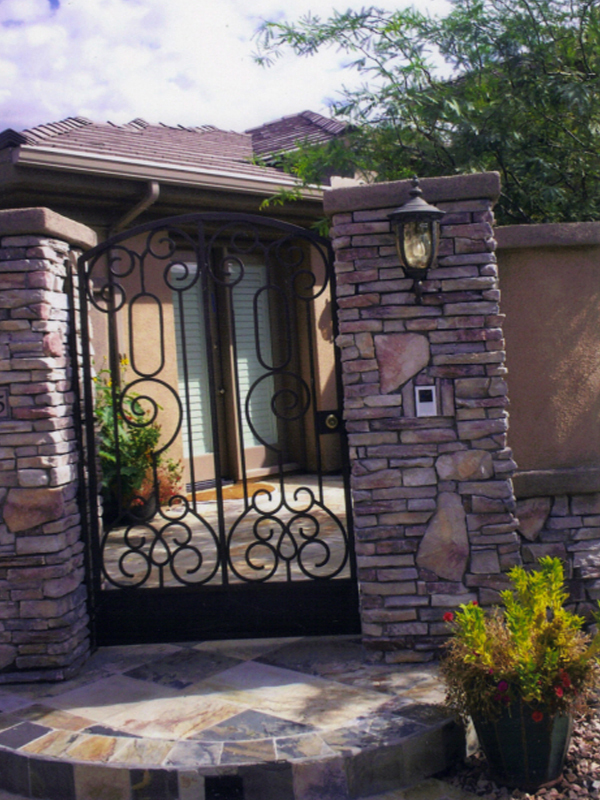 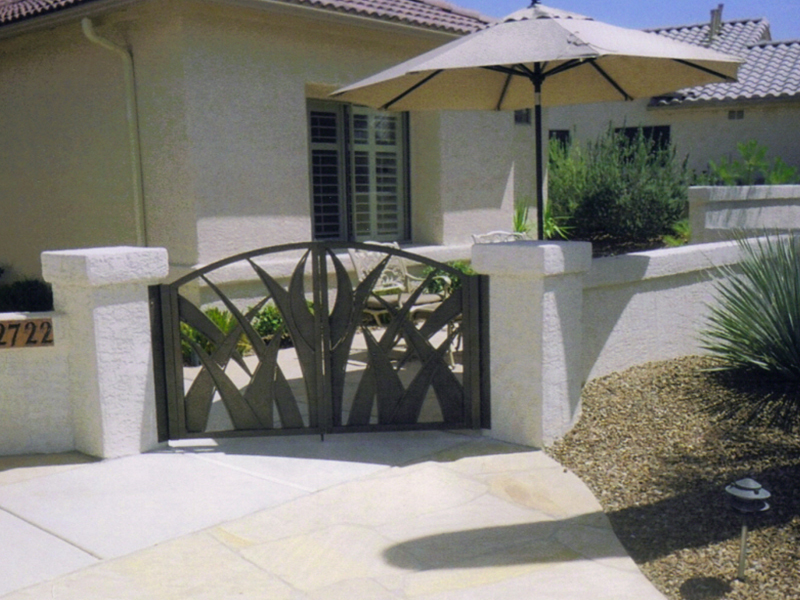 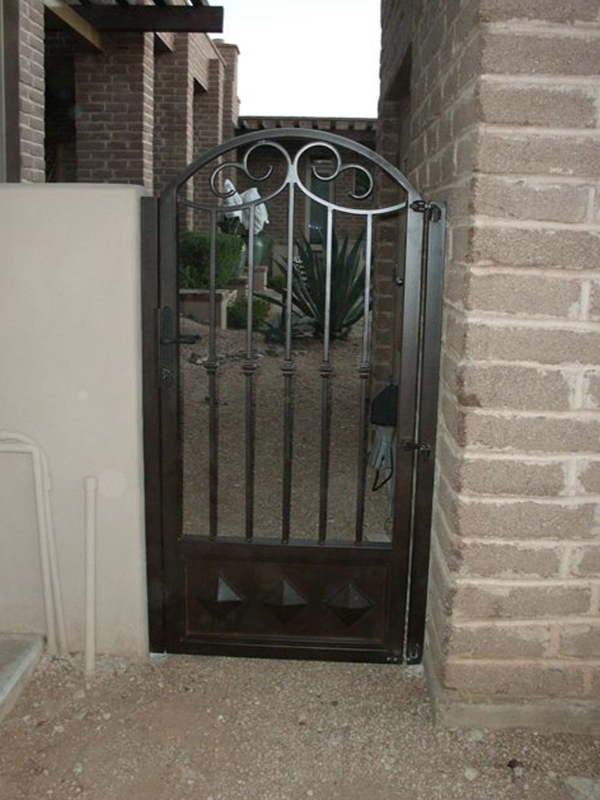 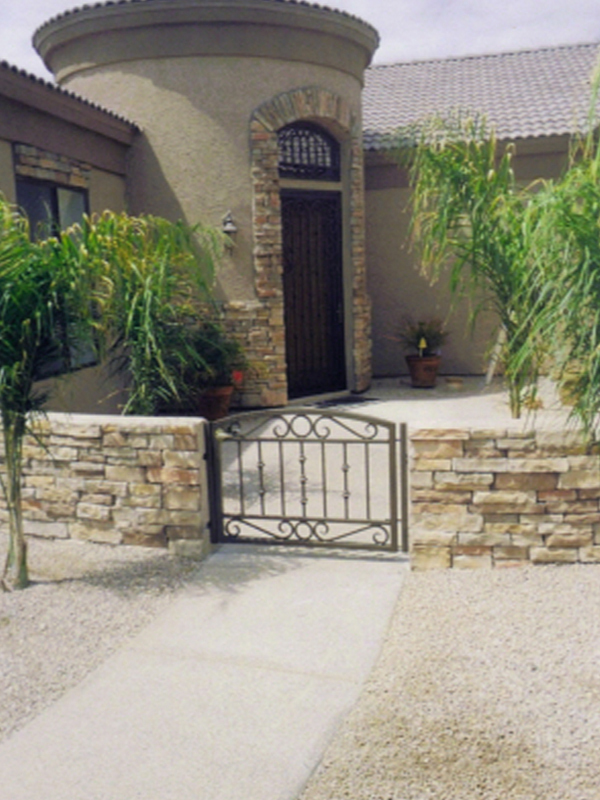 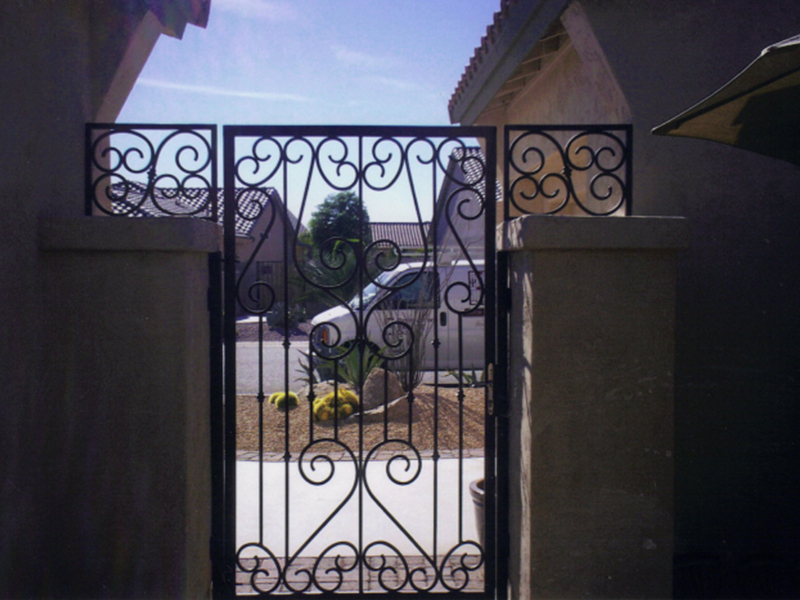 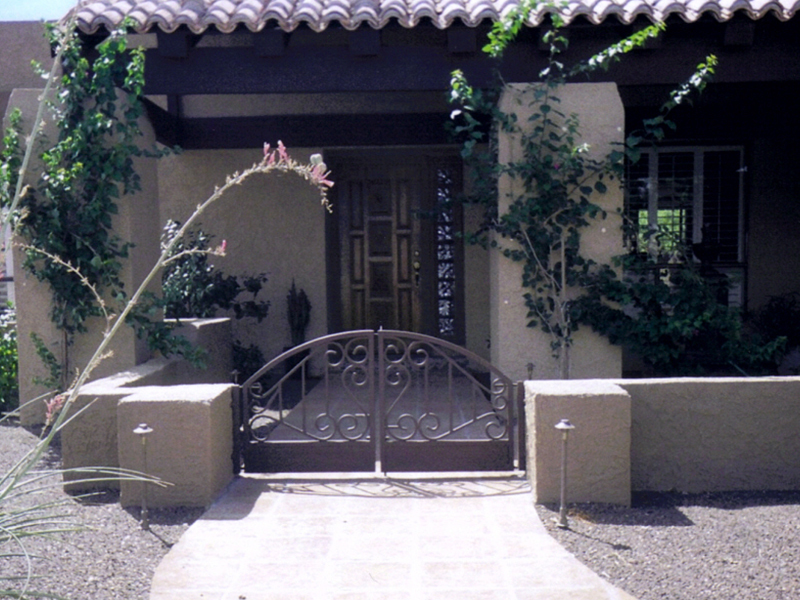 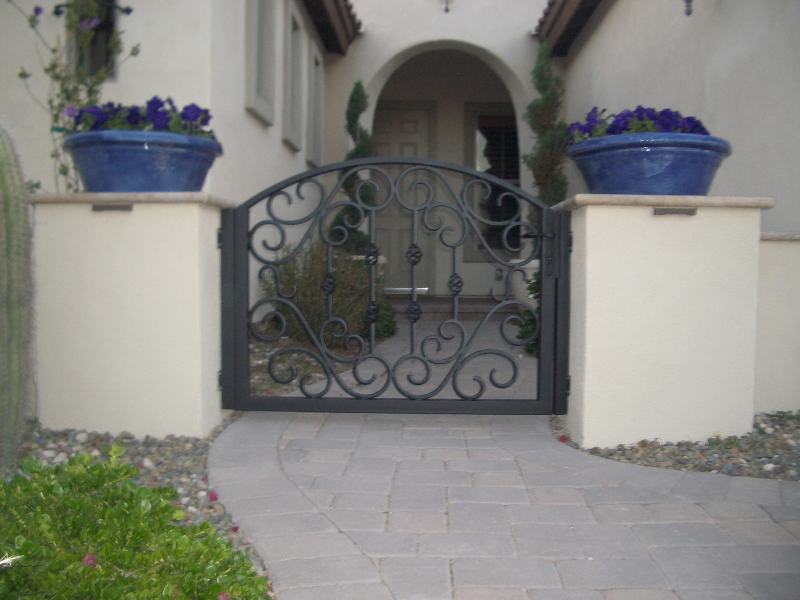 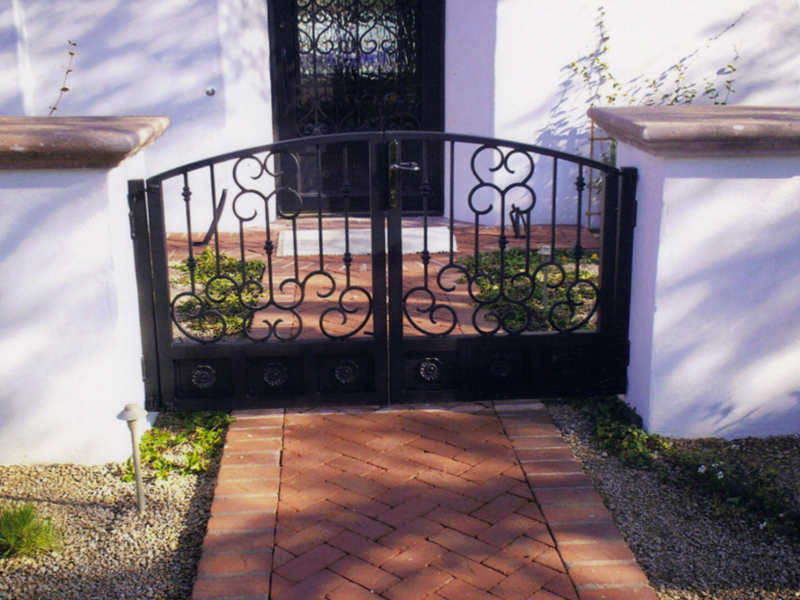 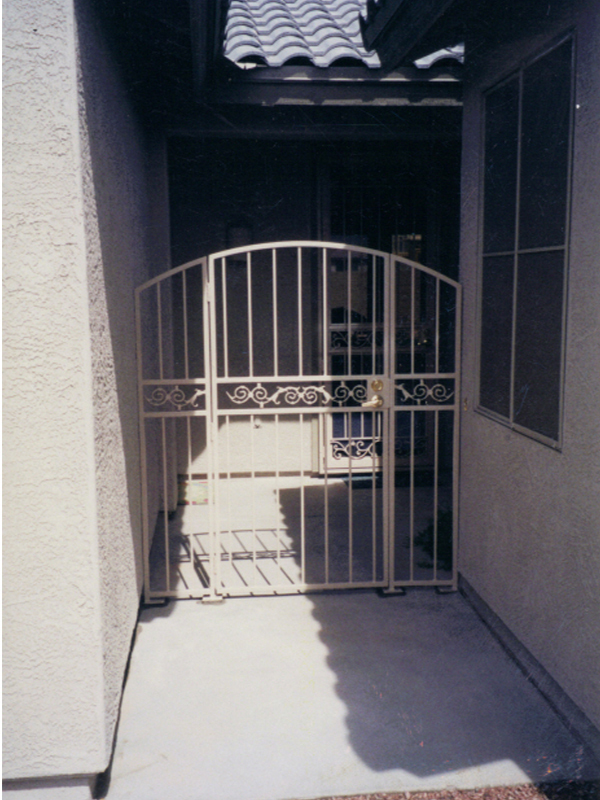 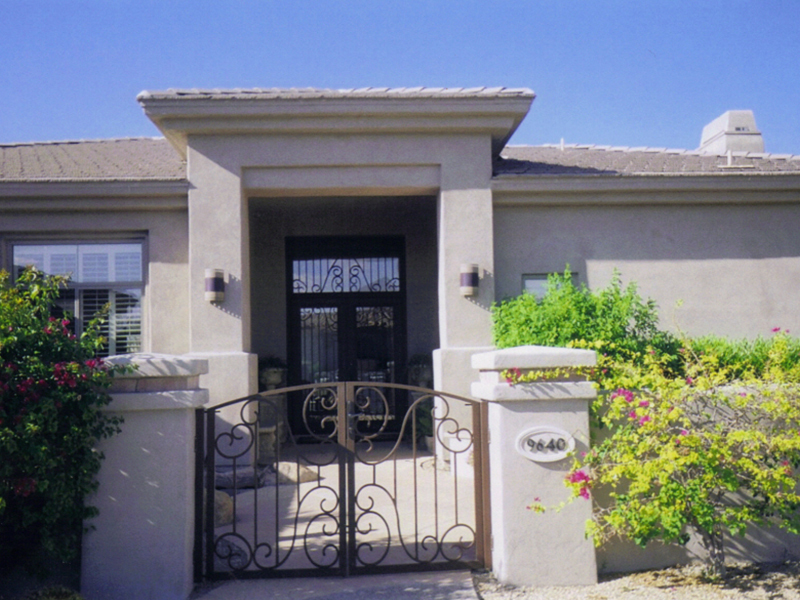 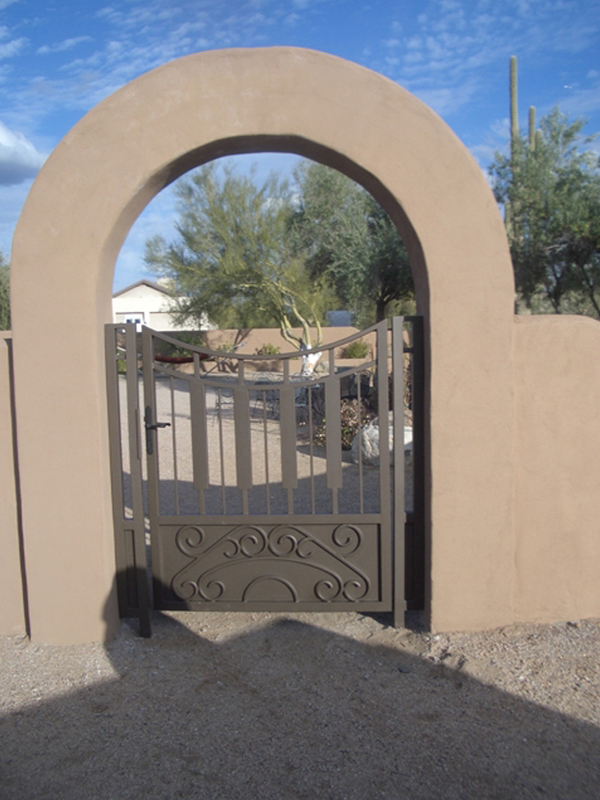 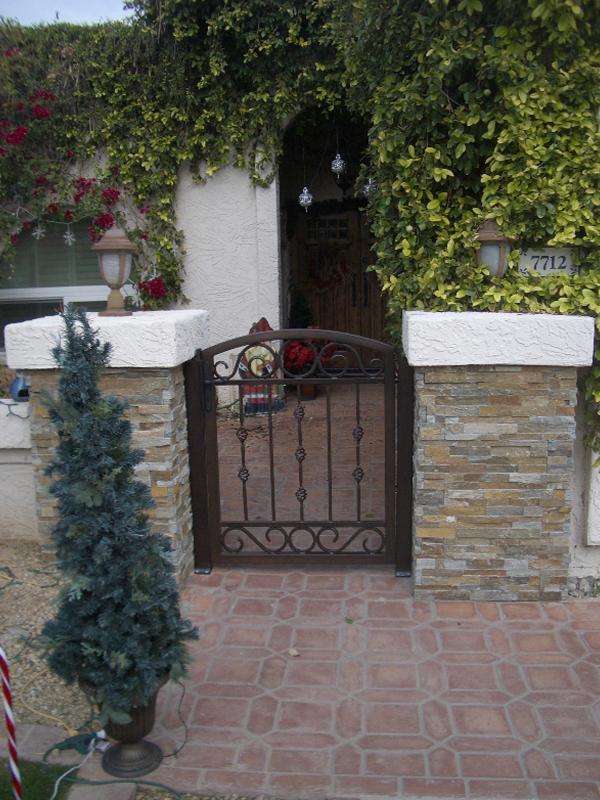 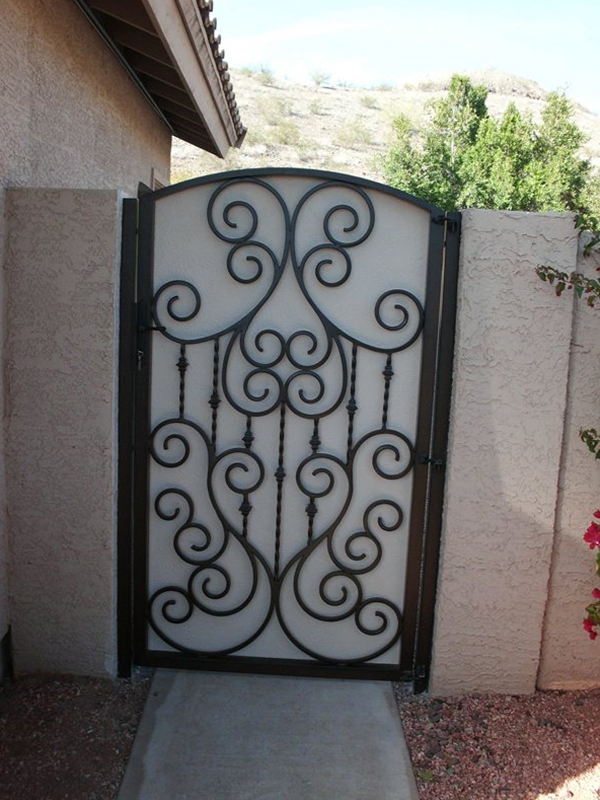 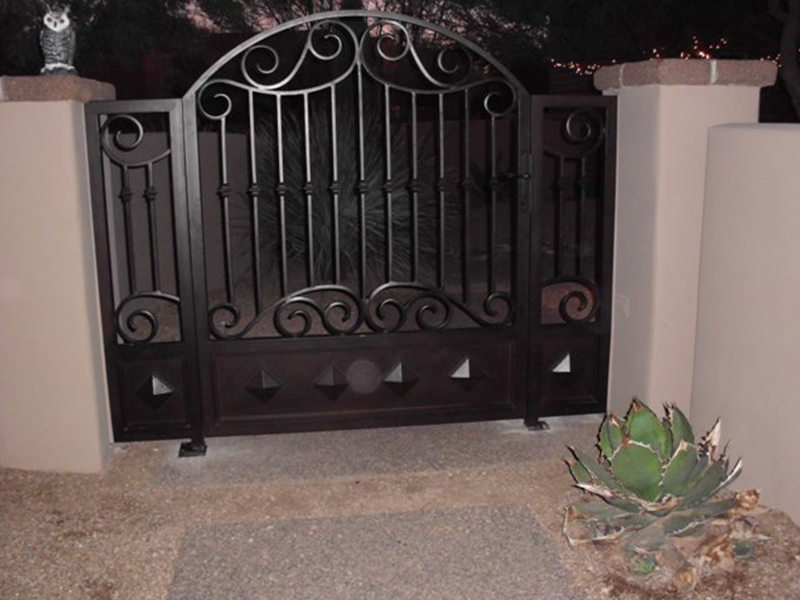 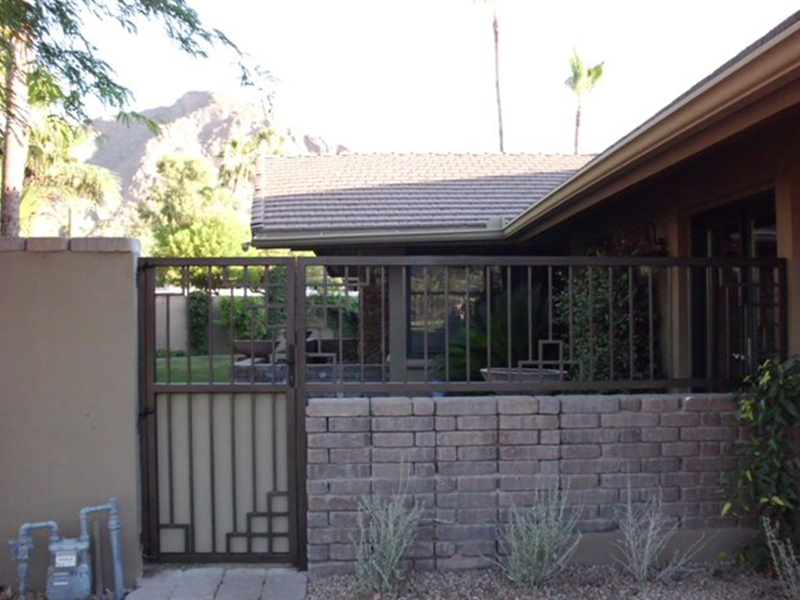 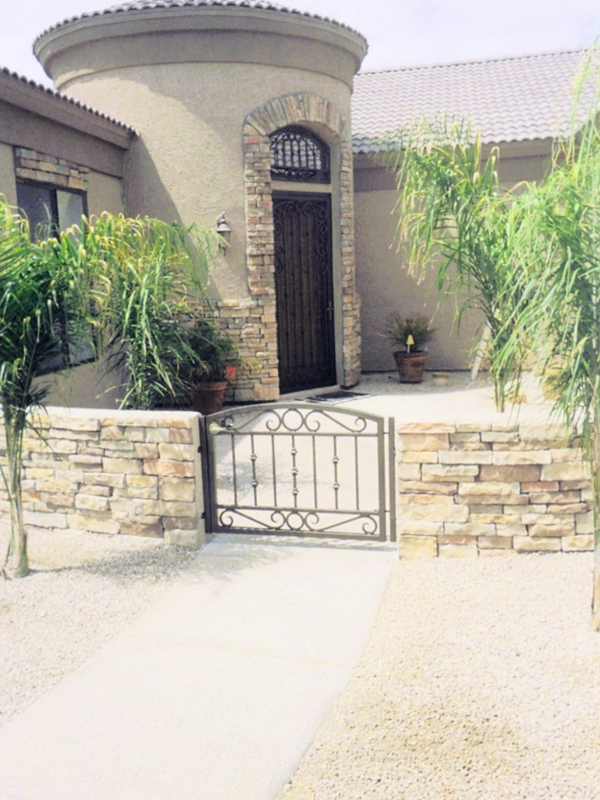 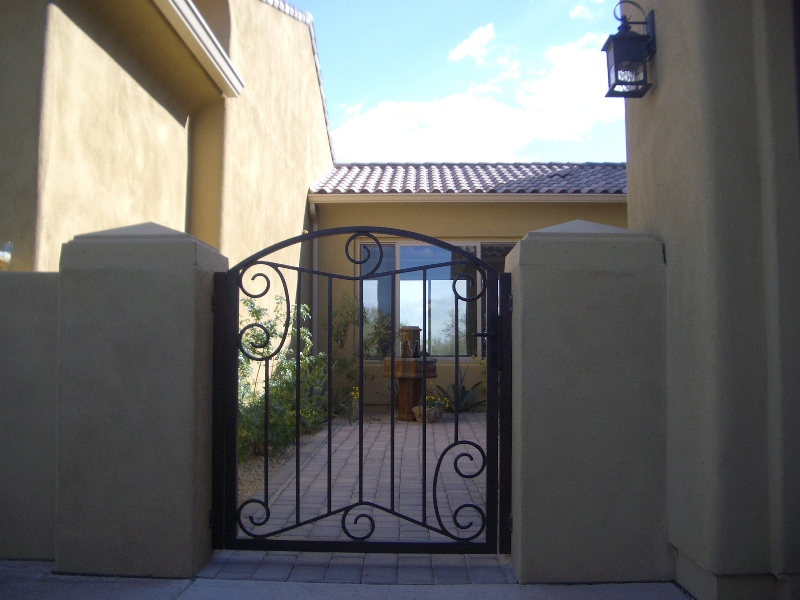 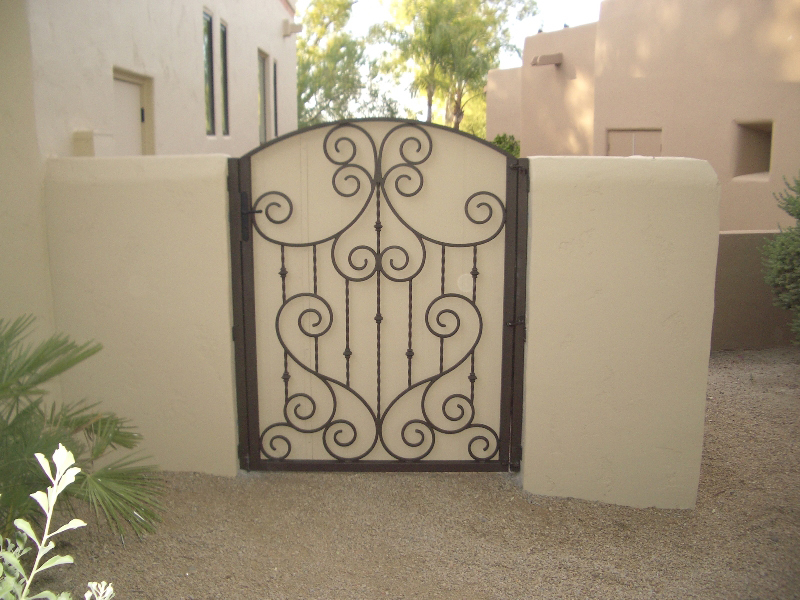 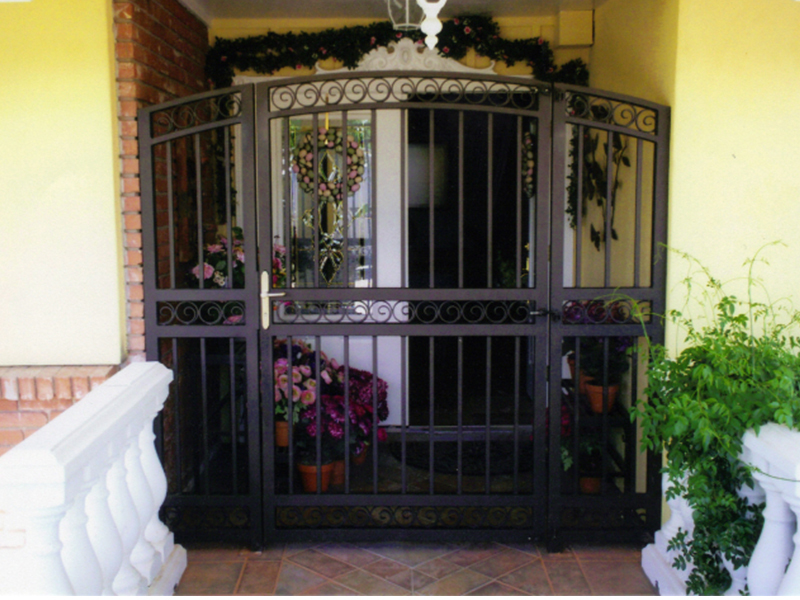 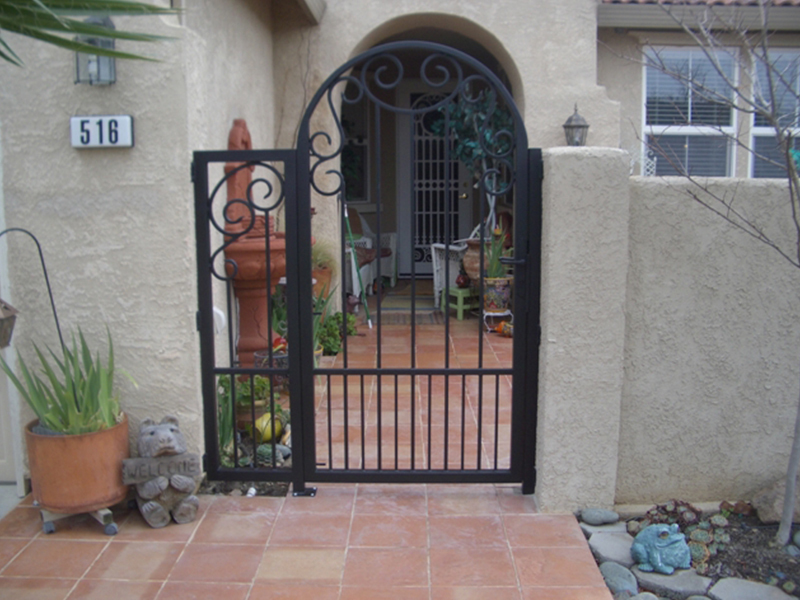 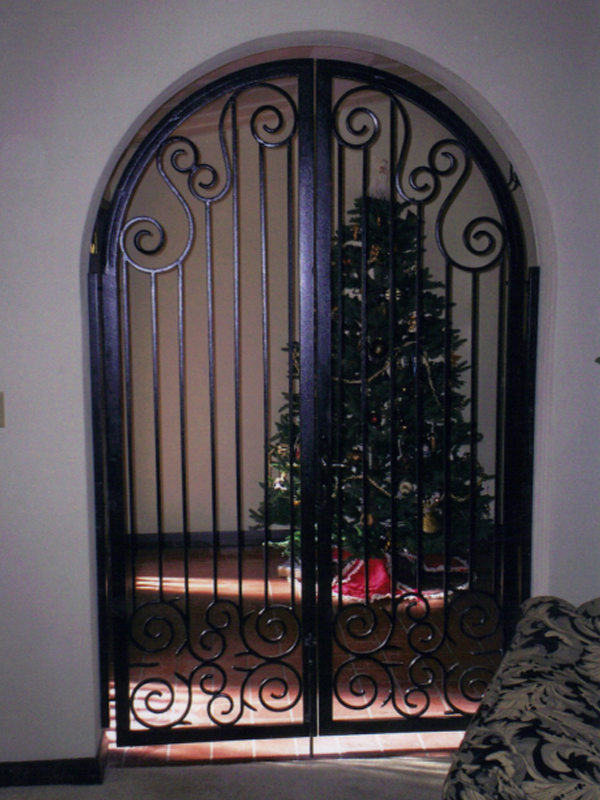 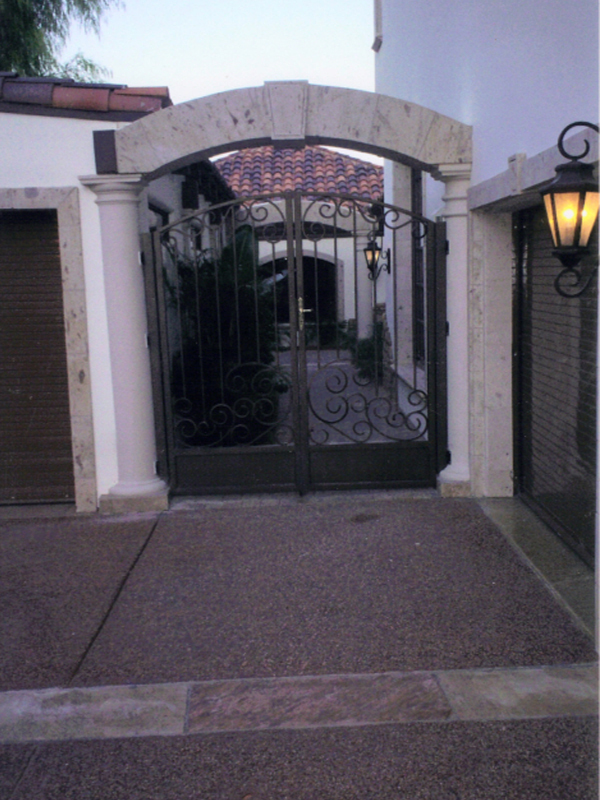 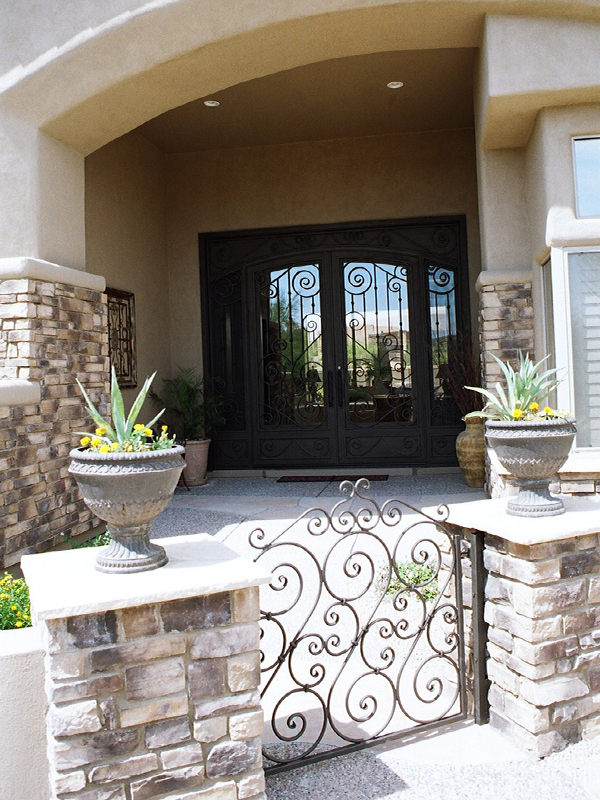 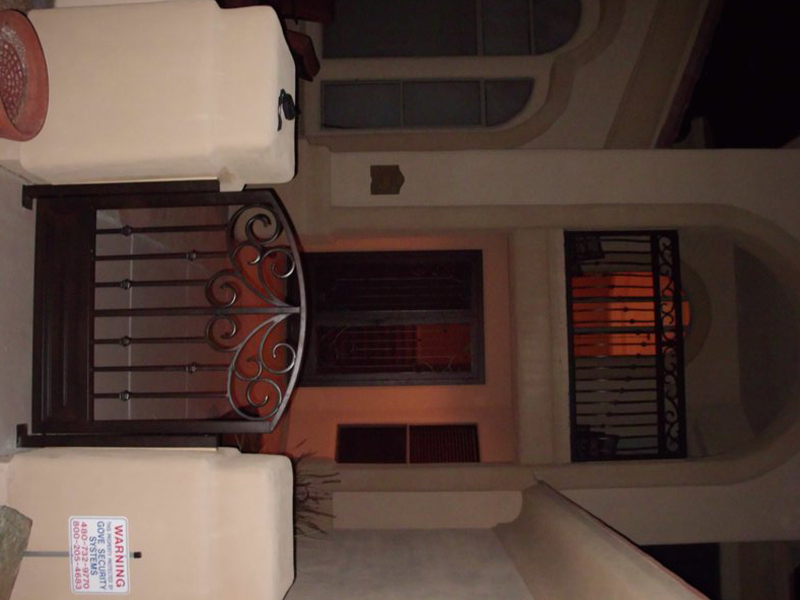 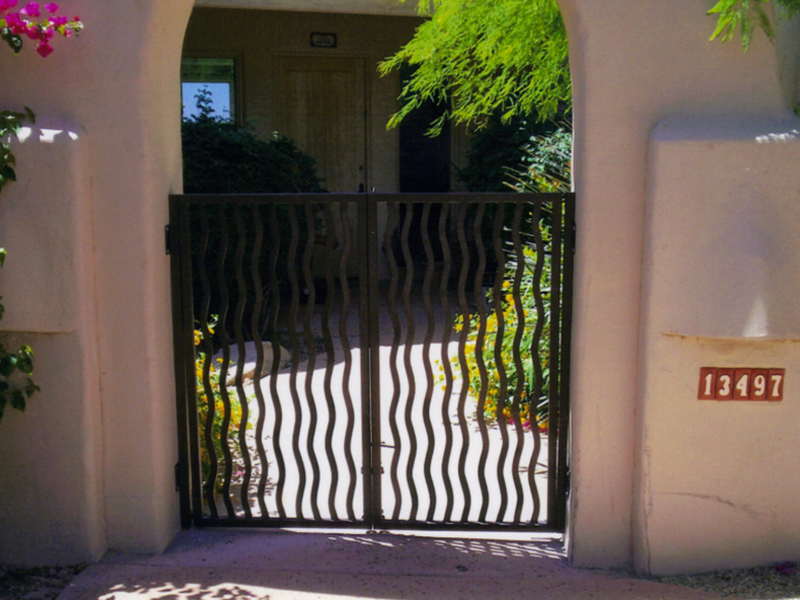 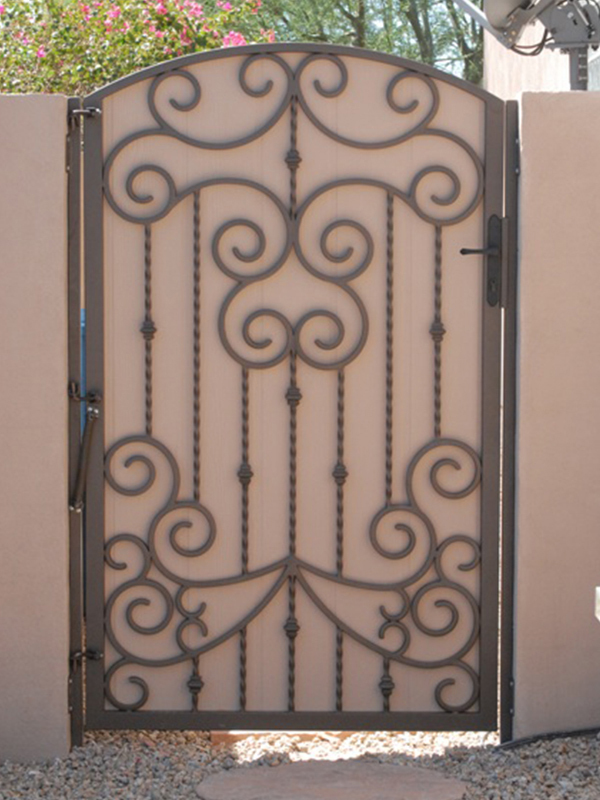 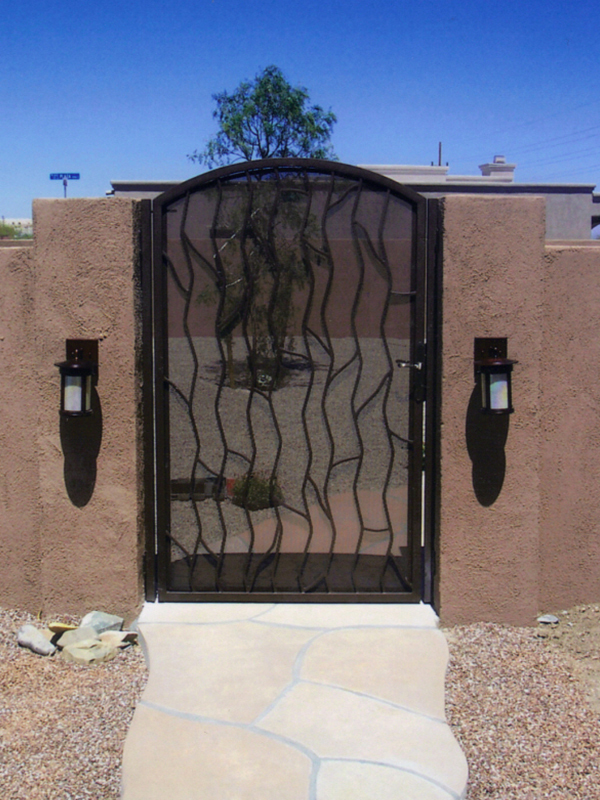 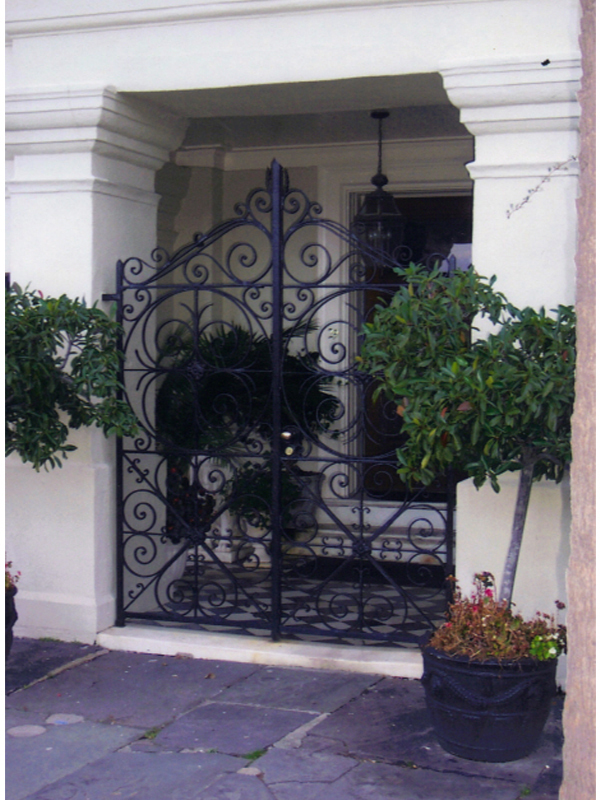 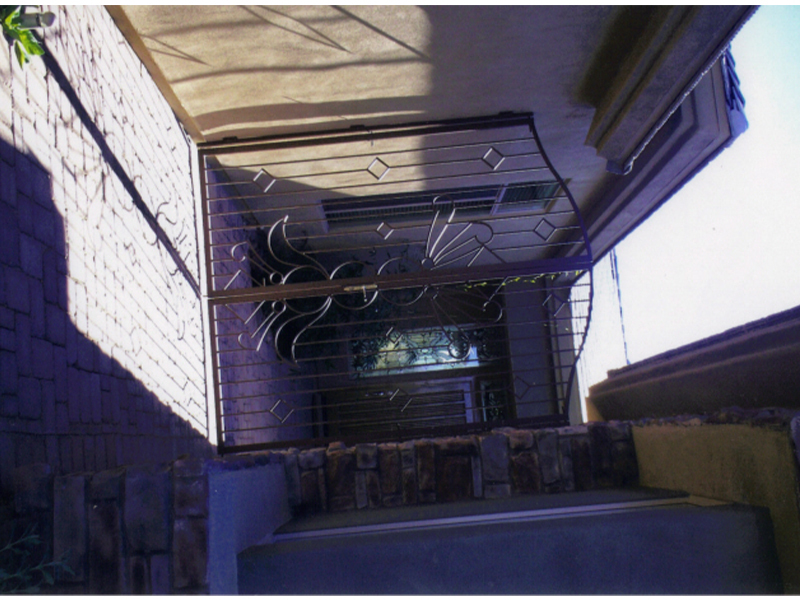 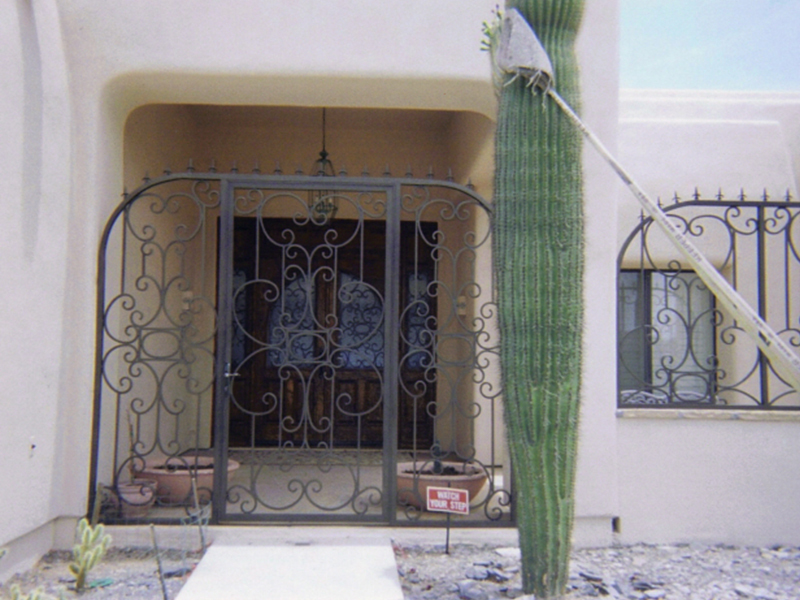 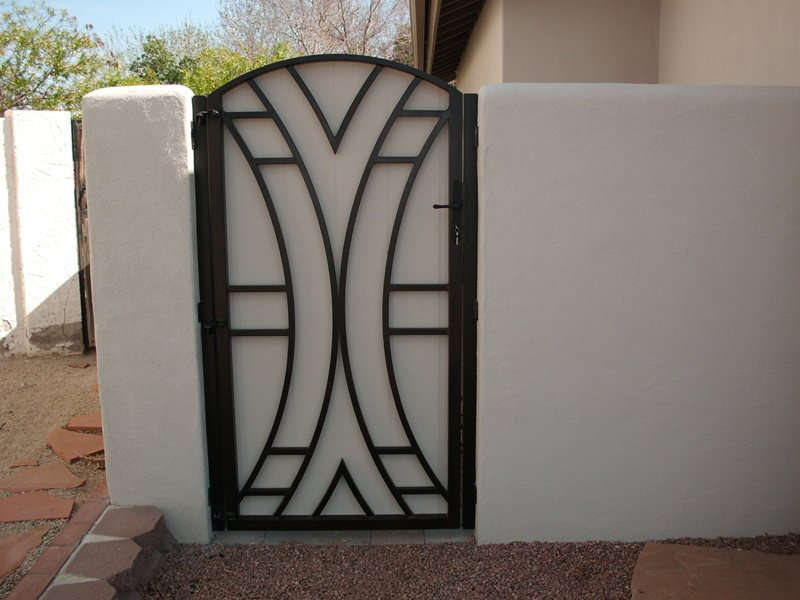 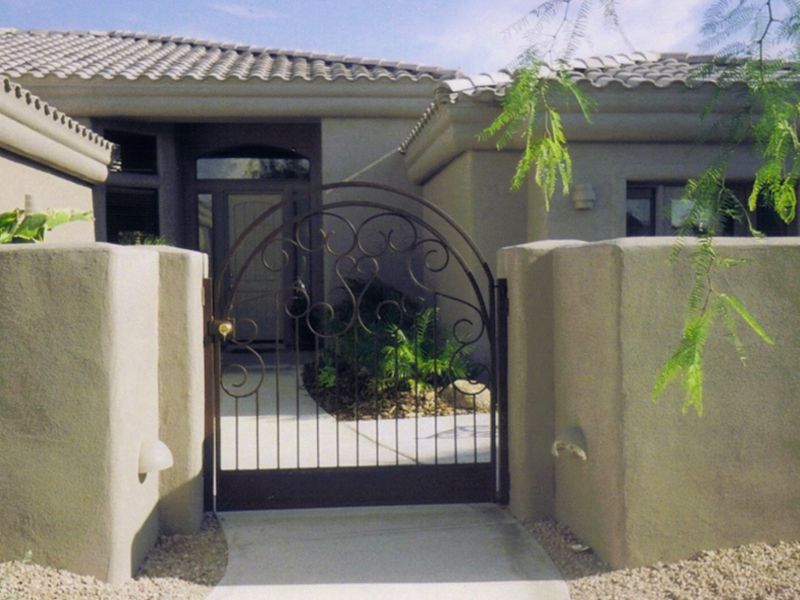 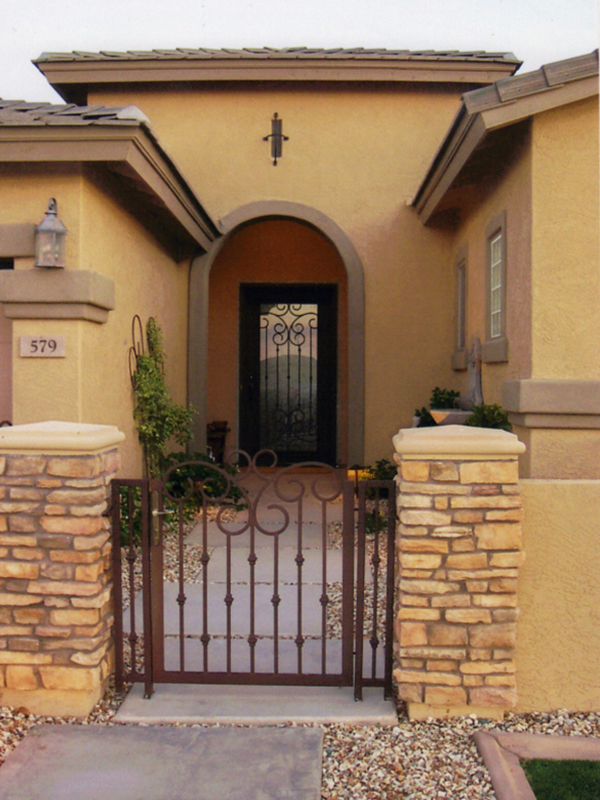 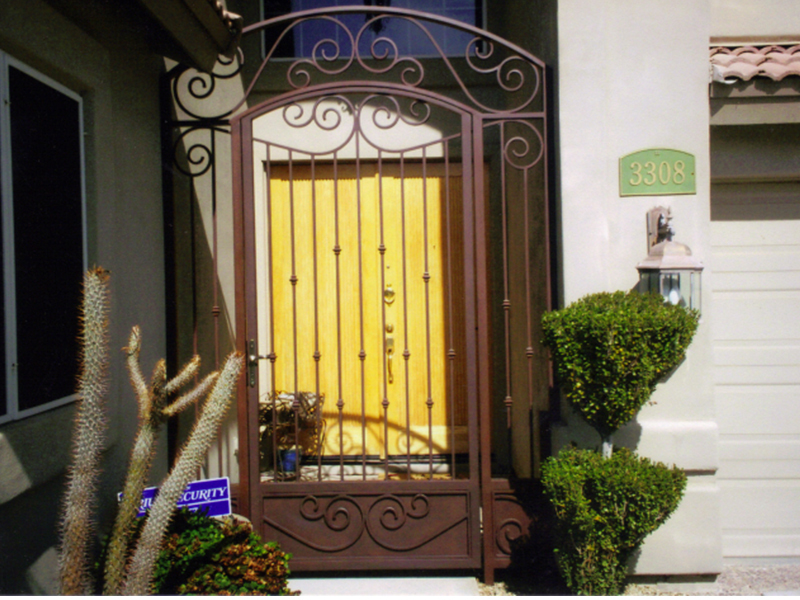 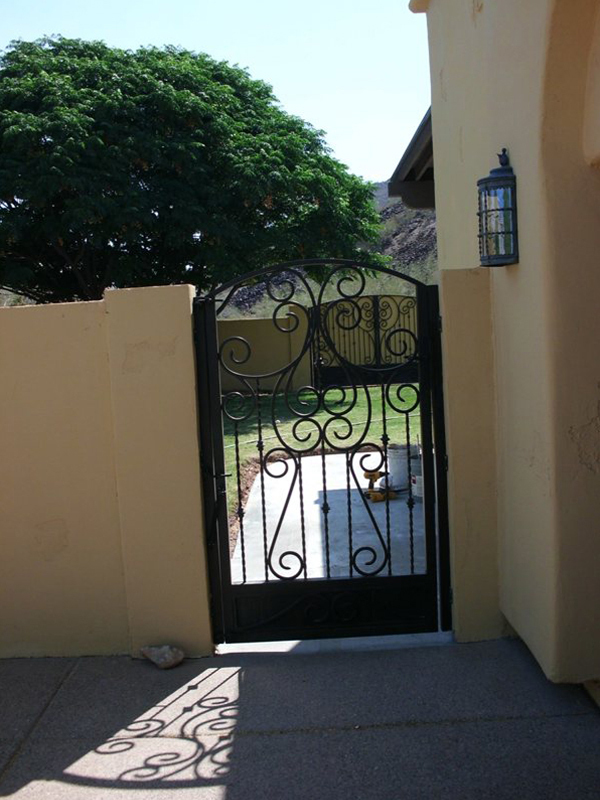 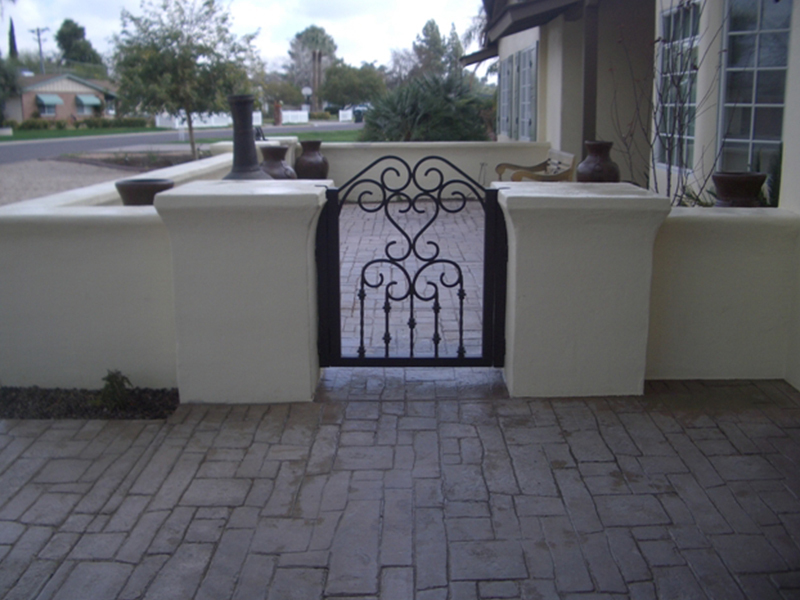 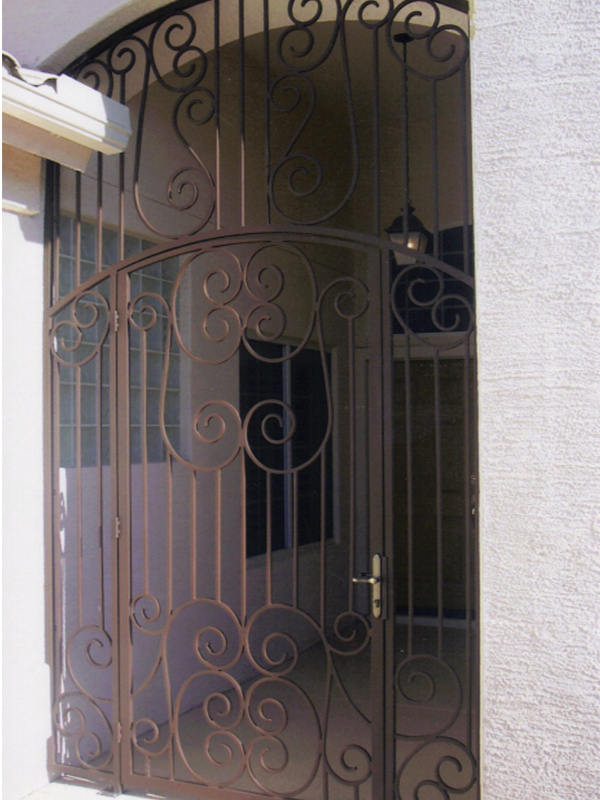 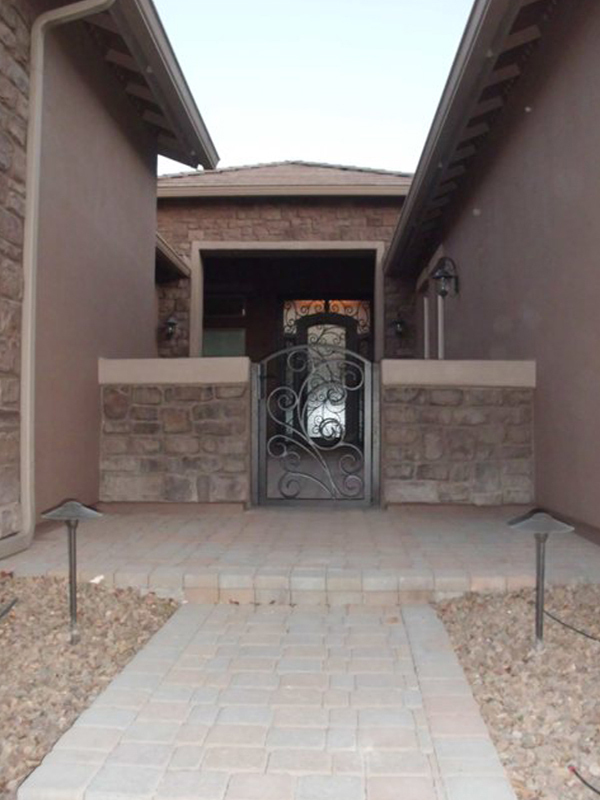 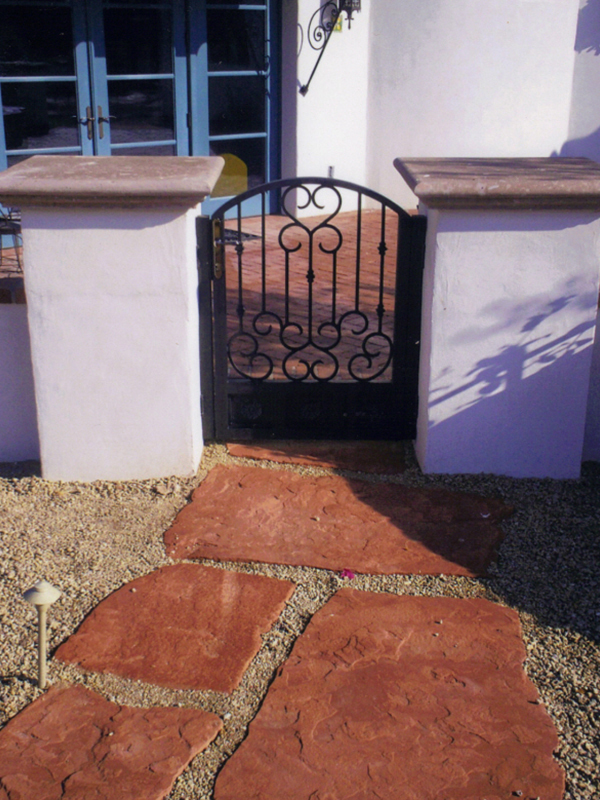 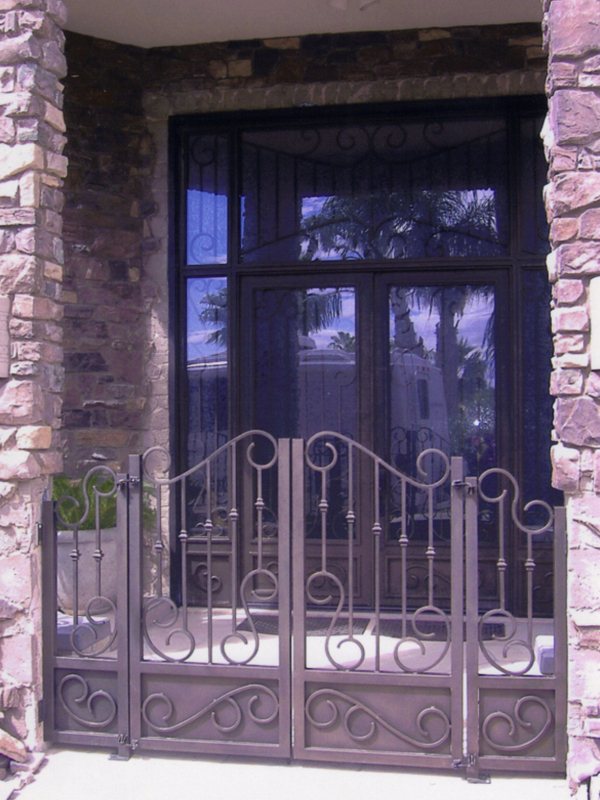 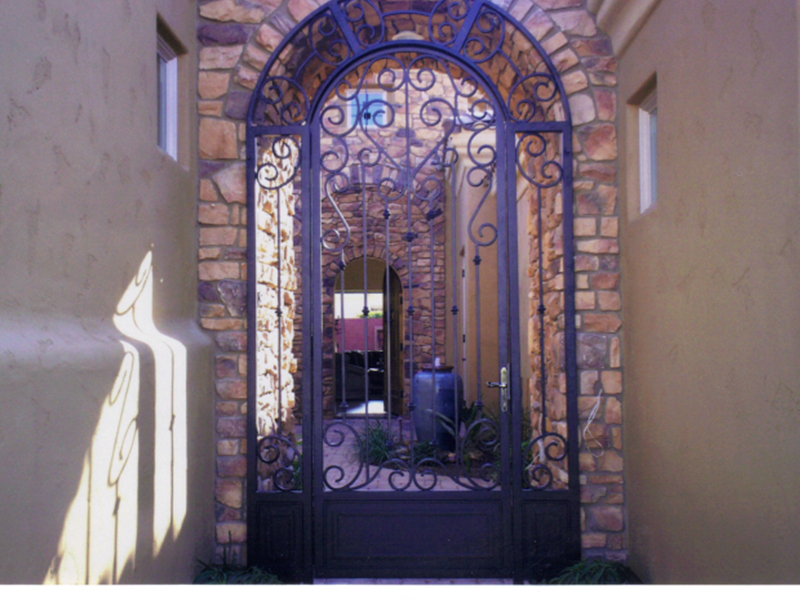 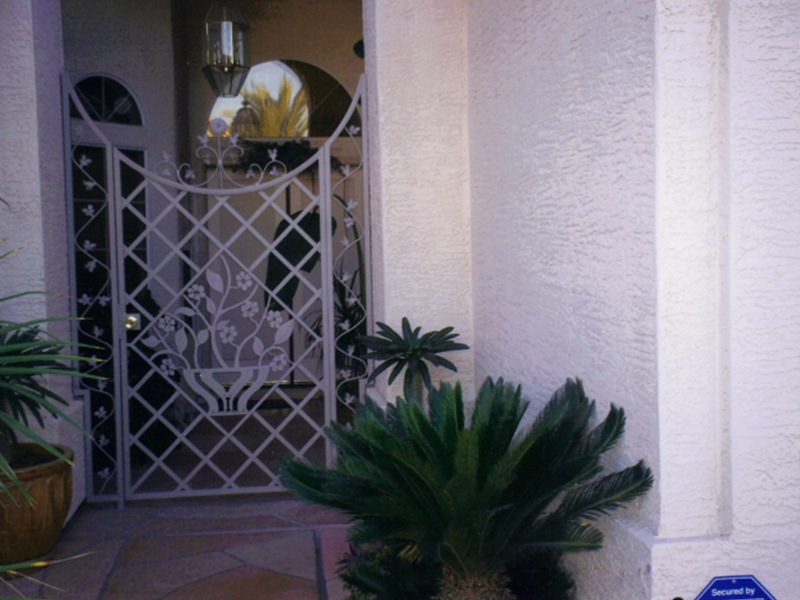 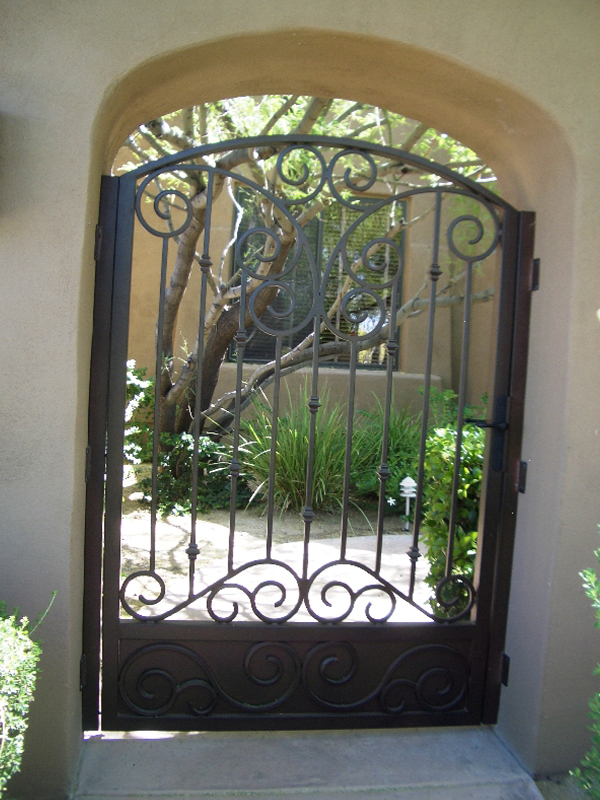 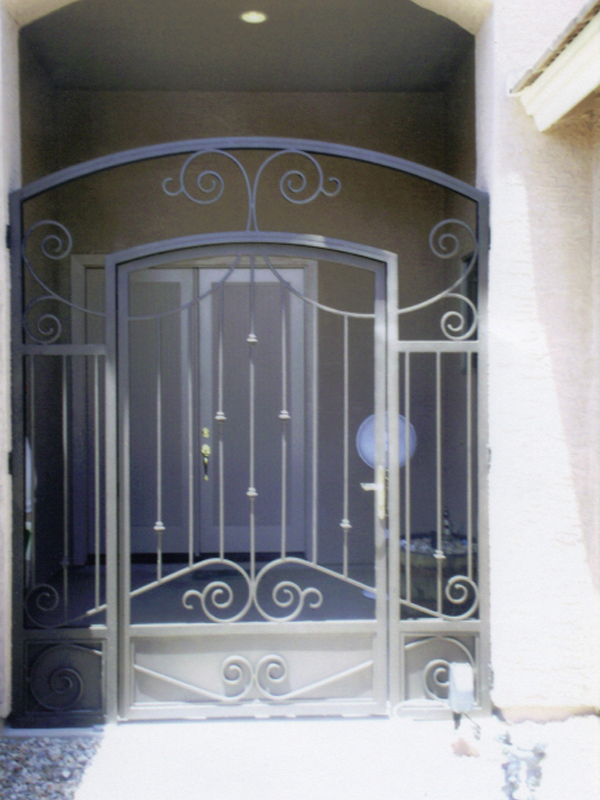 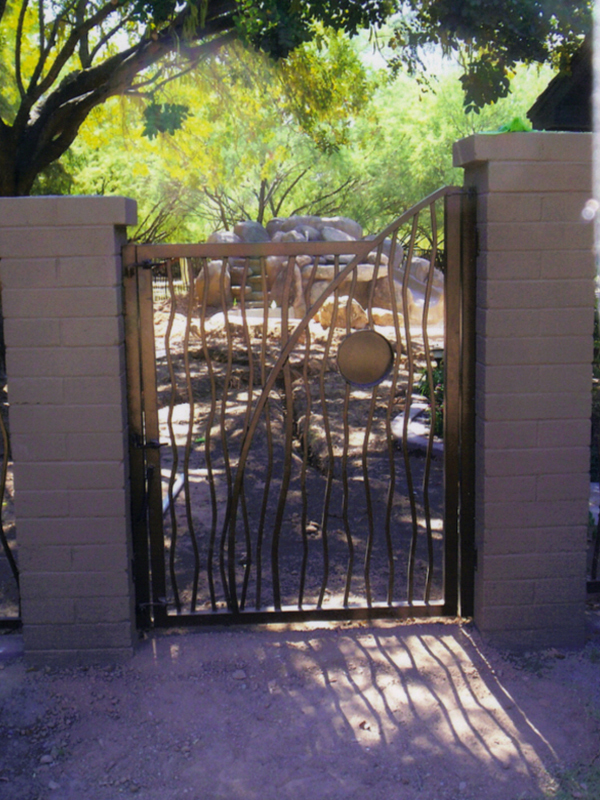 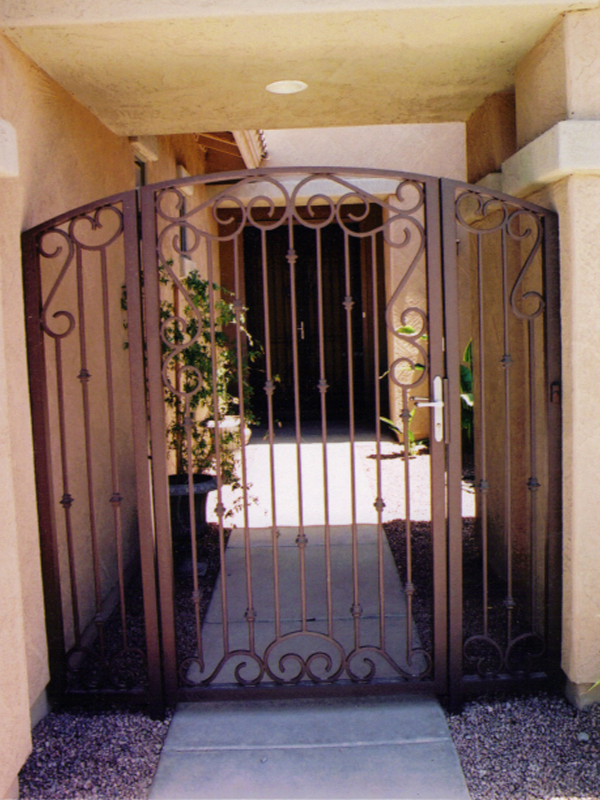 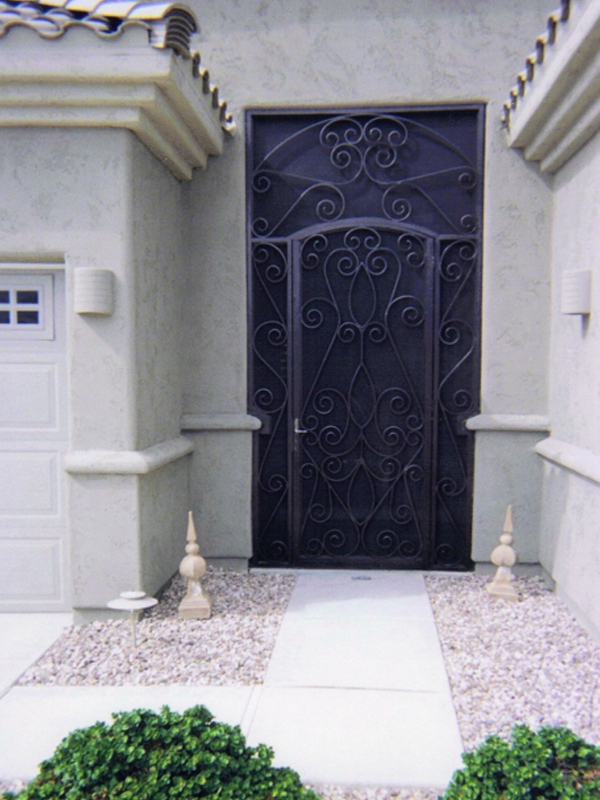 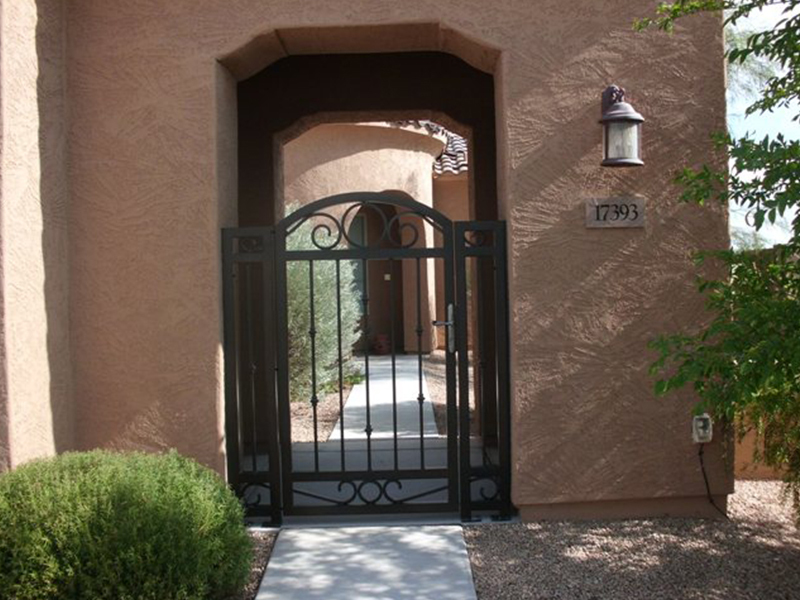 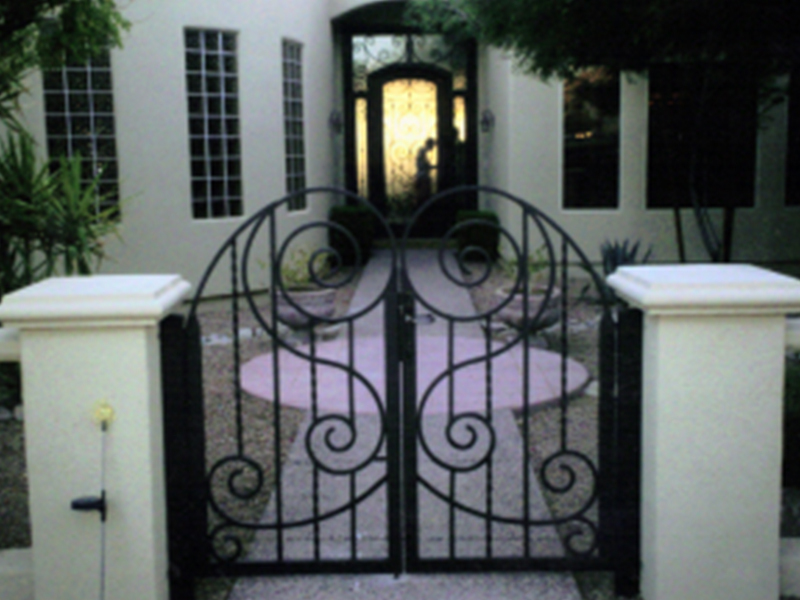 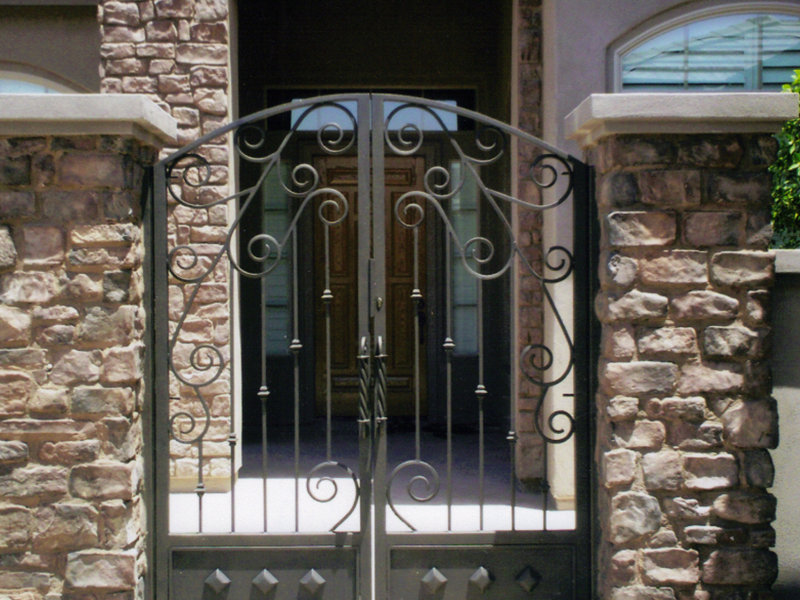 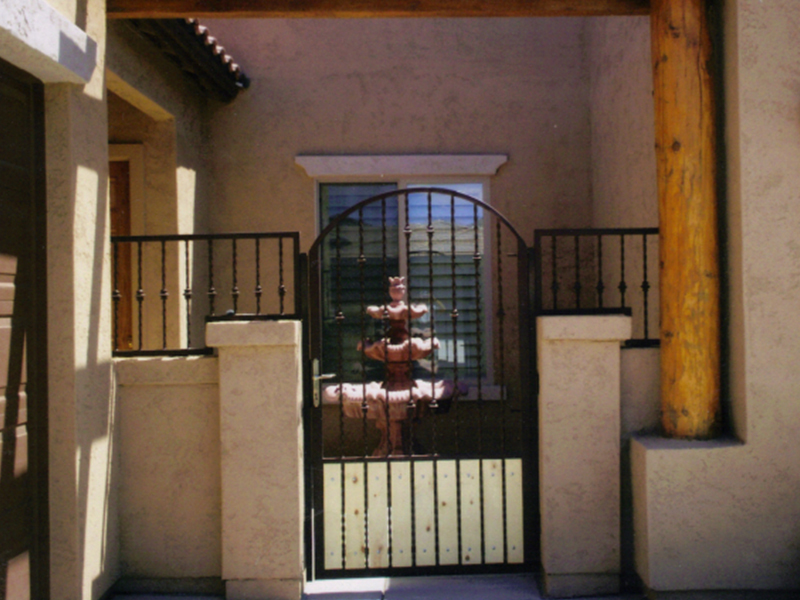 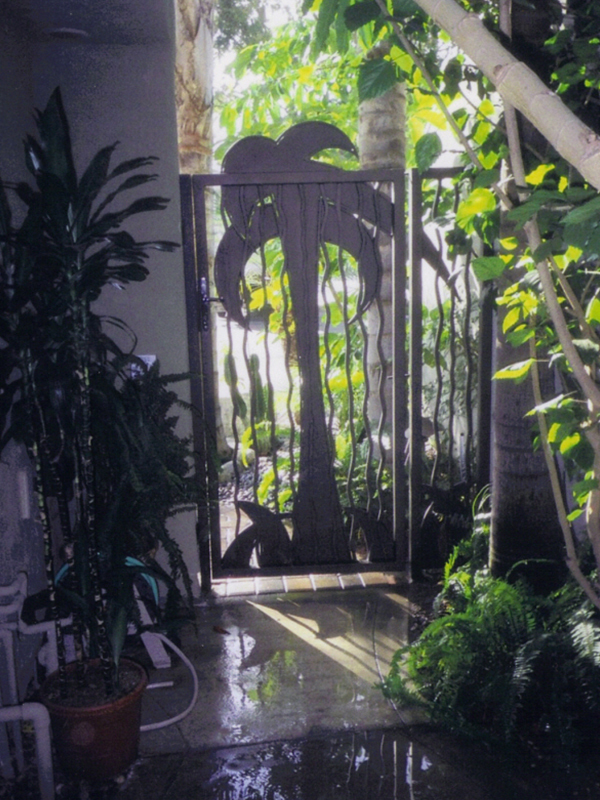 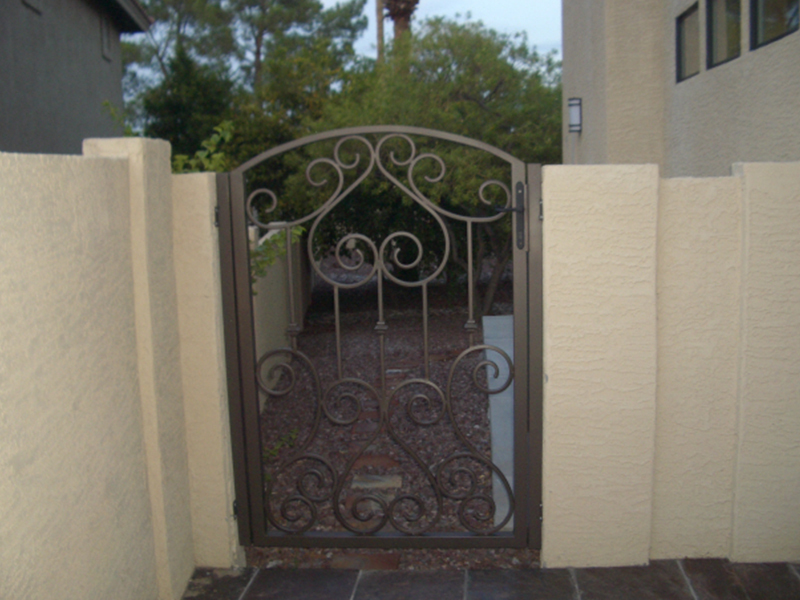 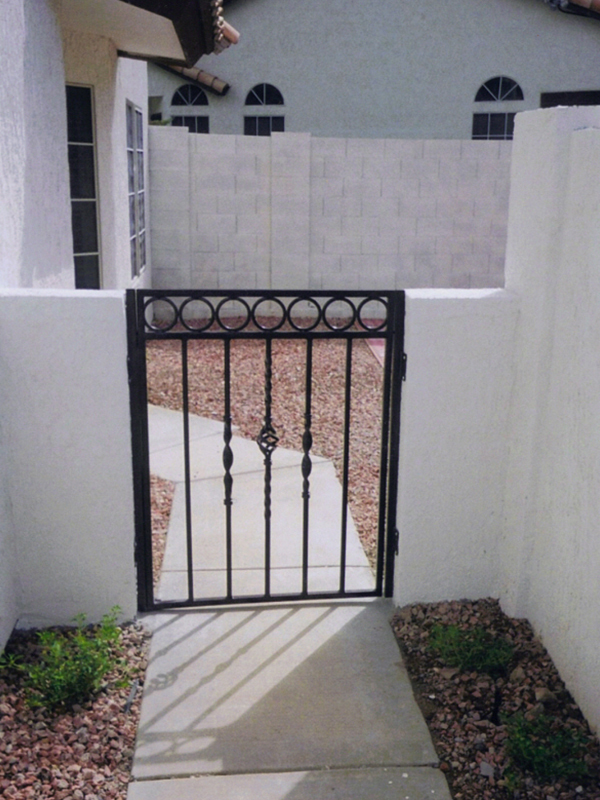 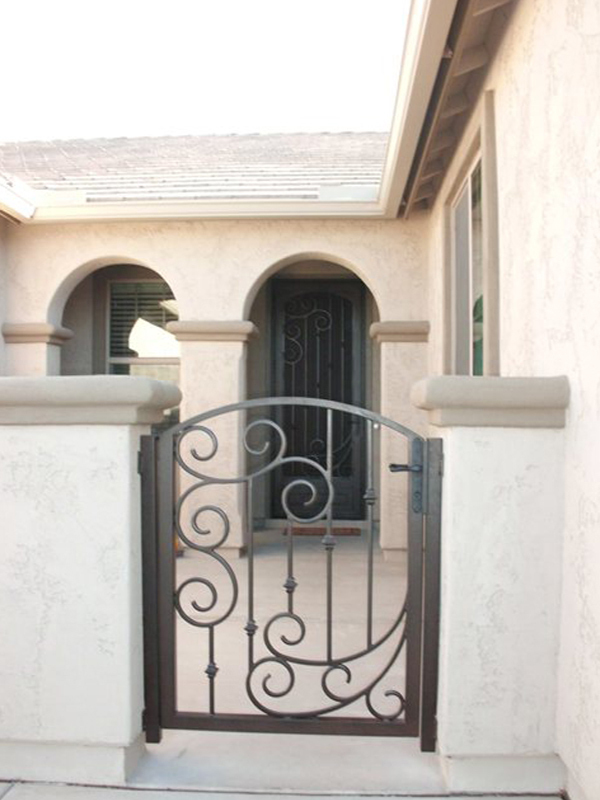 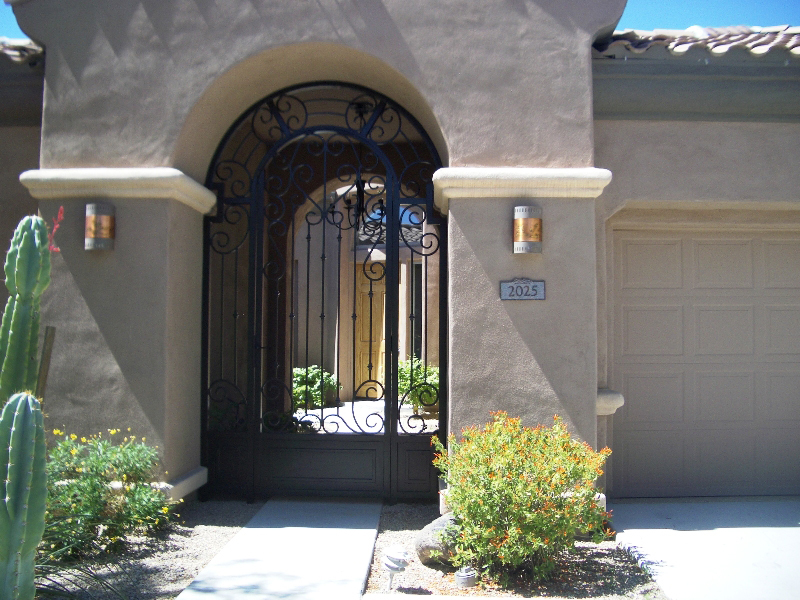 Side panels to match the gate are used with the gate to enclose the entryway of the home. 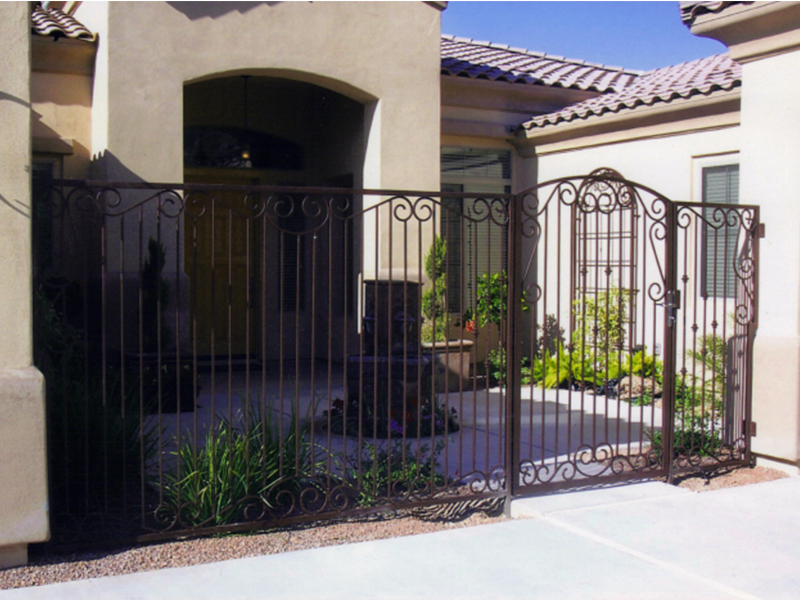 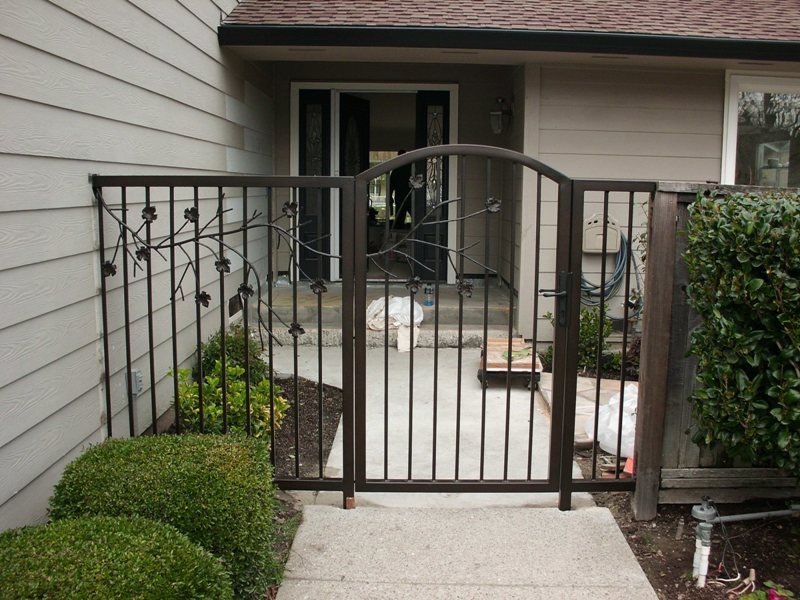 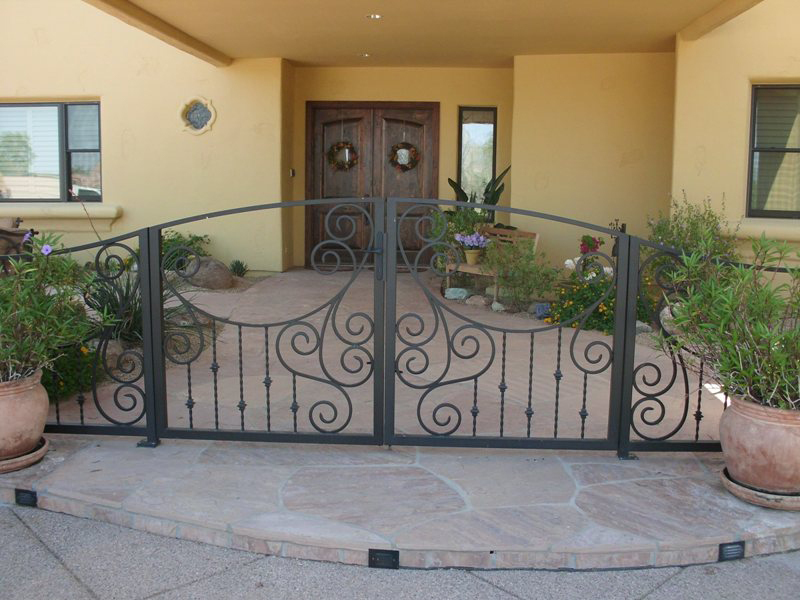 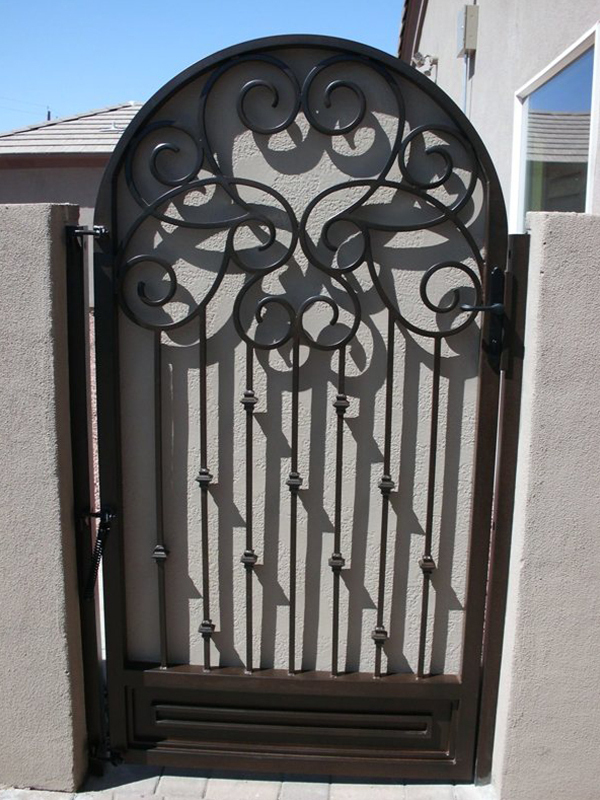 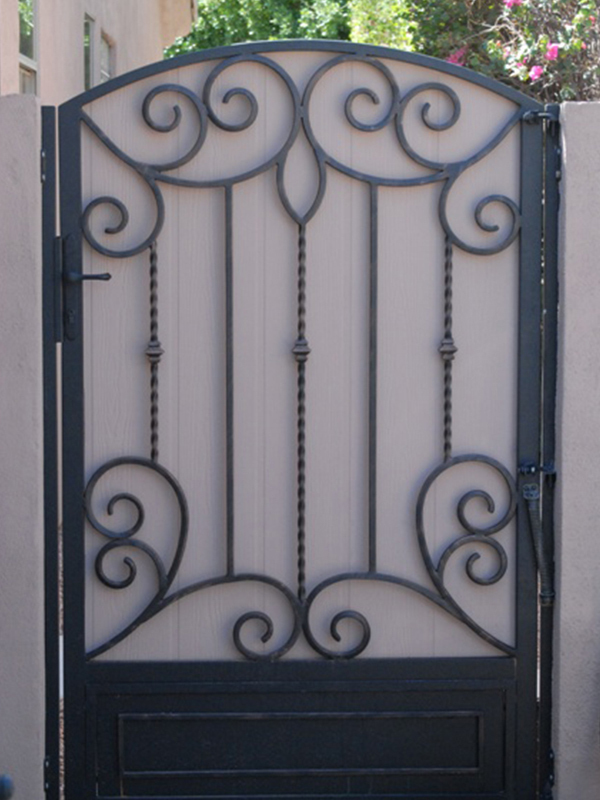 All gates are built with a 1″ to 2″ inch-mitered frame with posts connected with heavy-duty adjustable hinges. 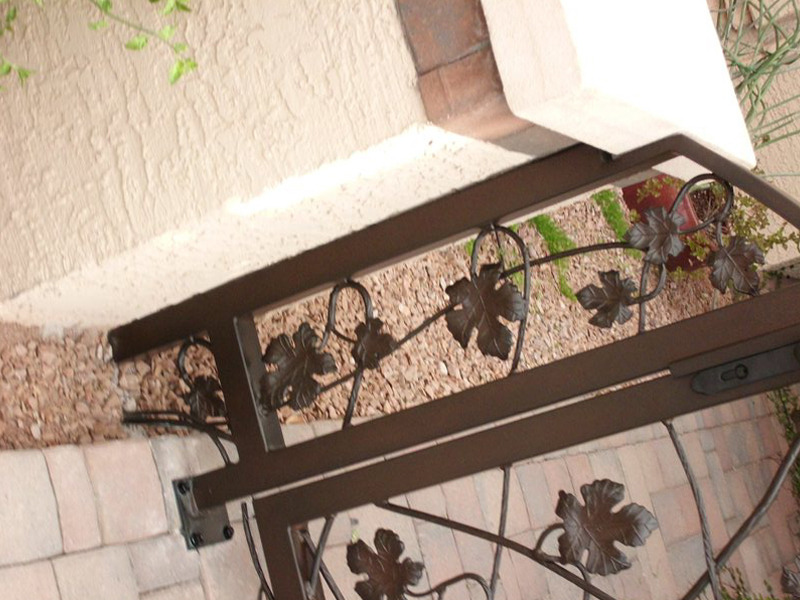 The hinges are designed to adjust if there is any movement in the wall. 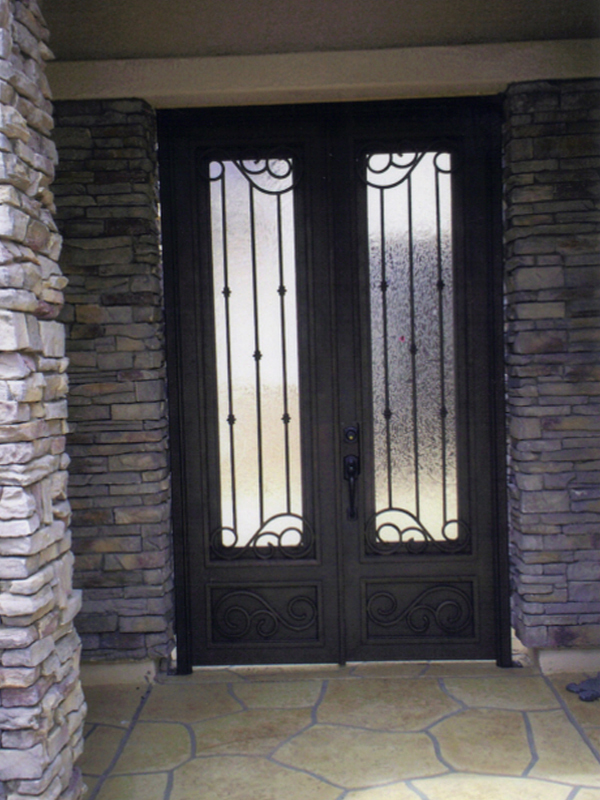 All doors come standard with a frieze, locks, and levers. 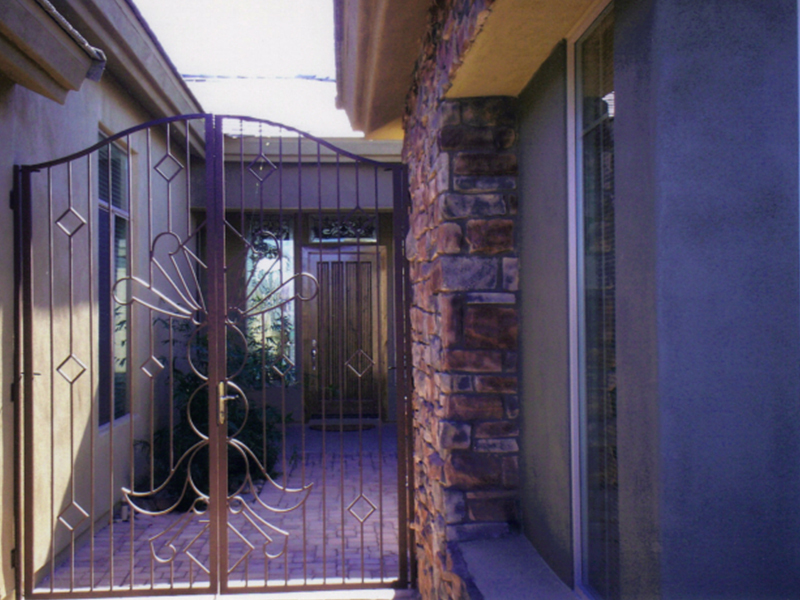 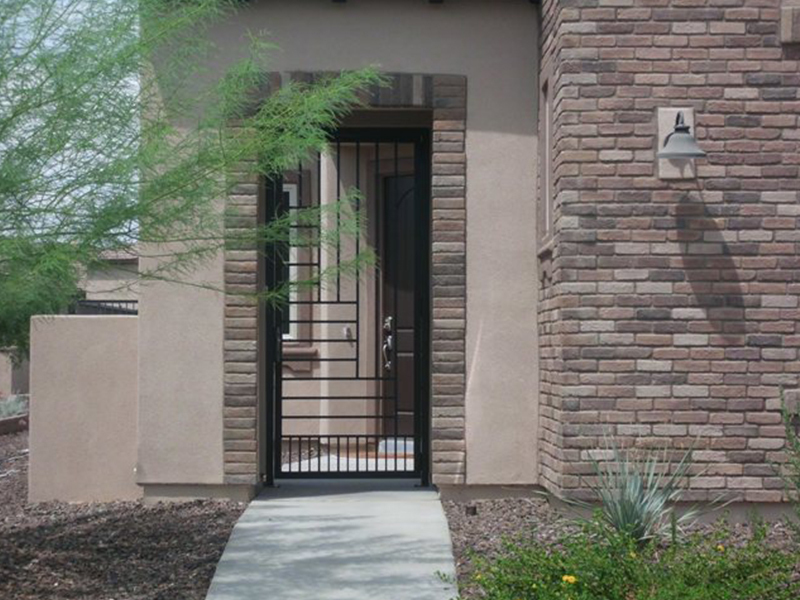 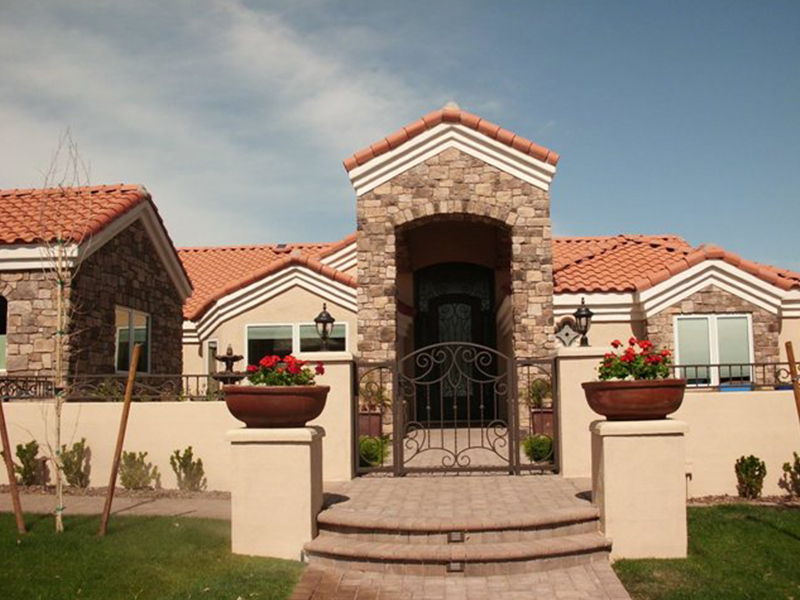 Available with glass, screen, or just open air; our custom gated enclosures and entryways provide security, privacy, and elegance to your home.